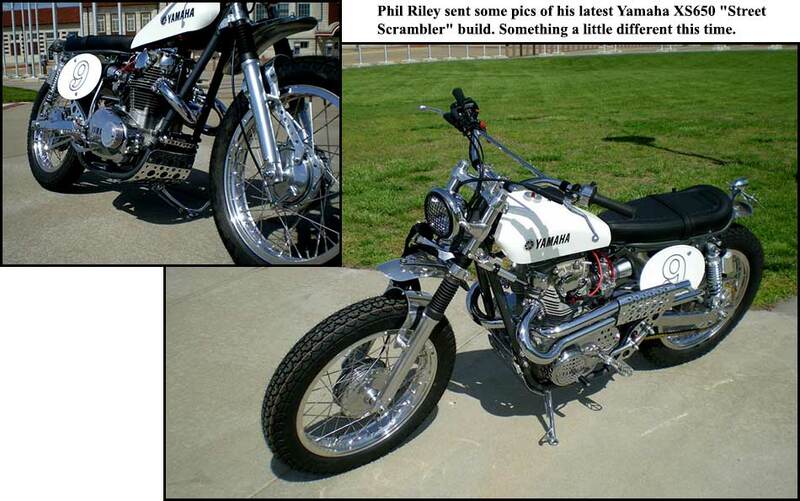 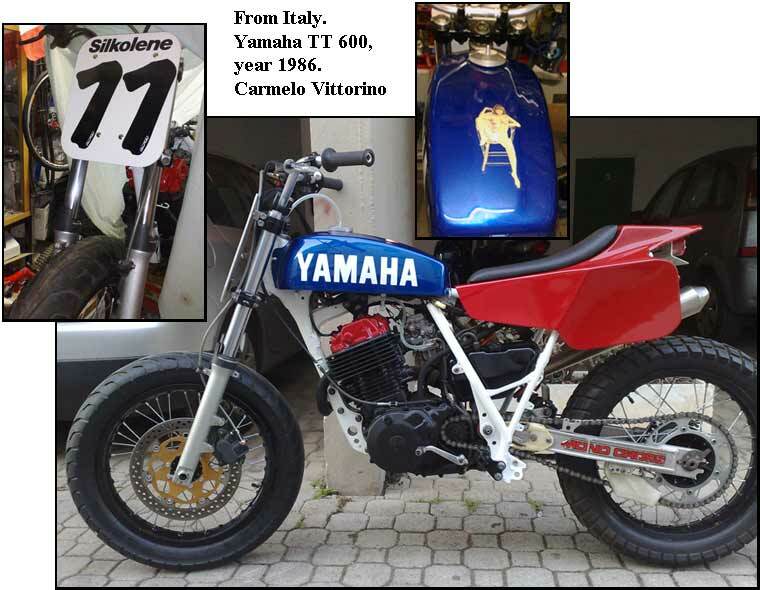 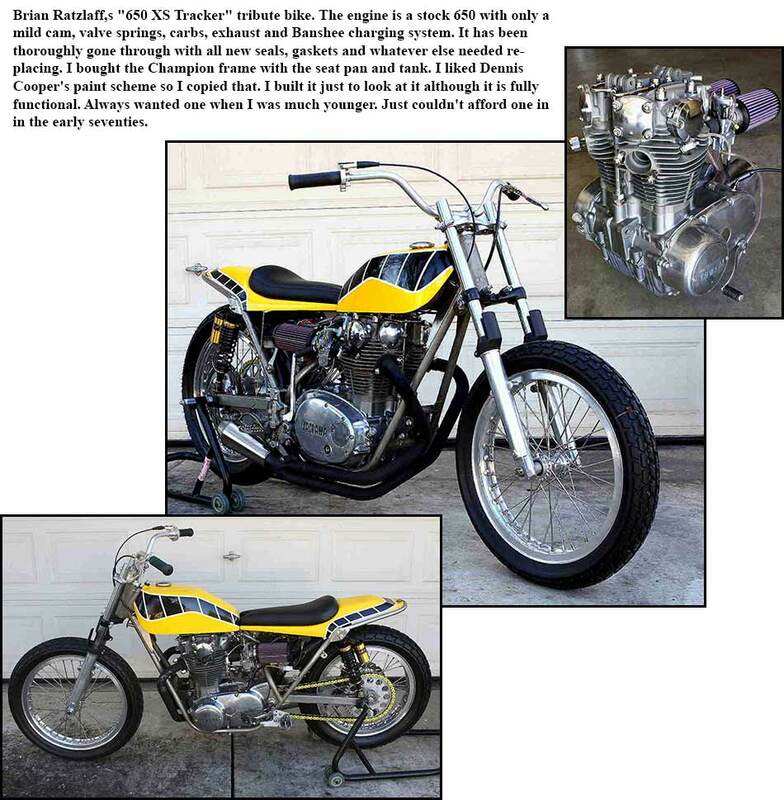 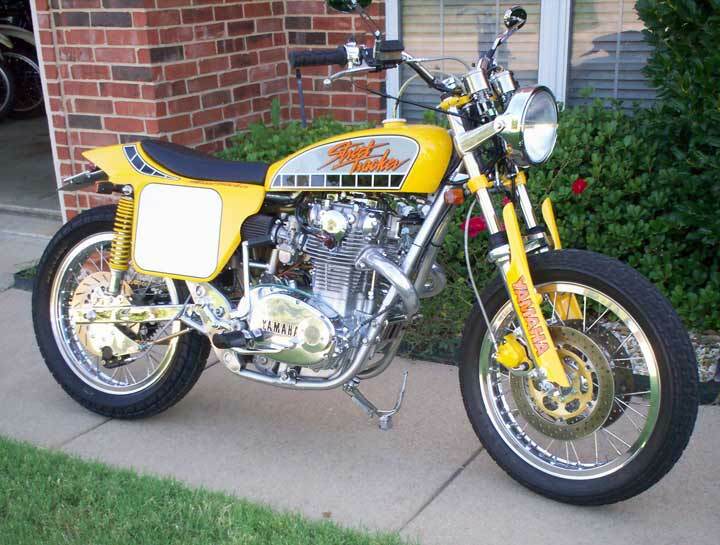 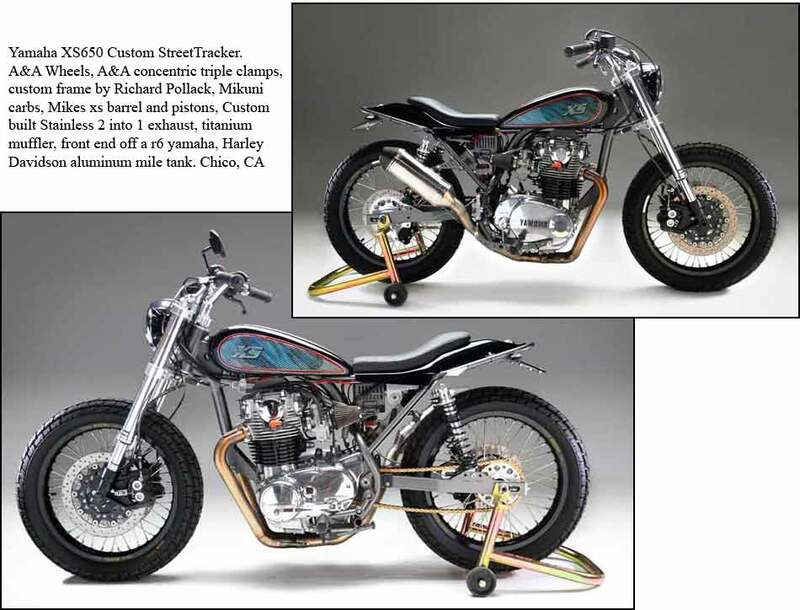 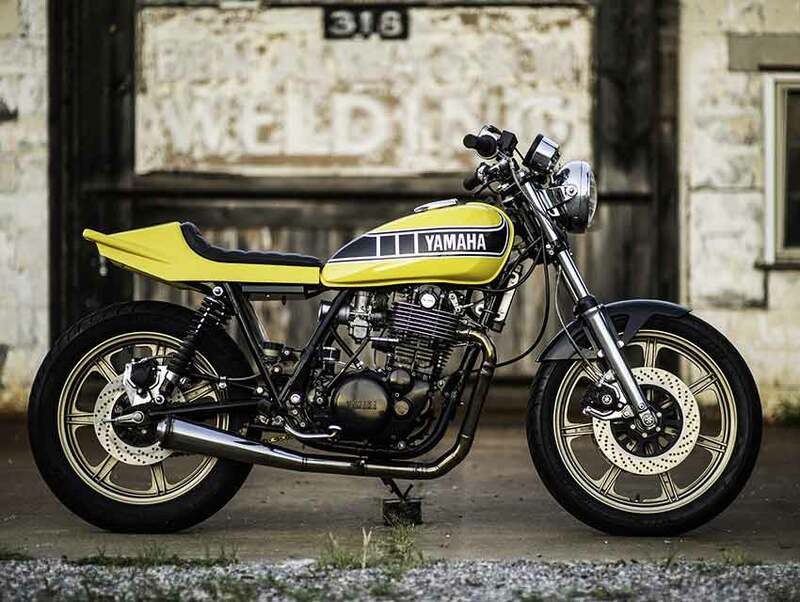 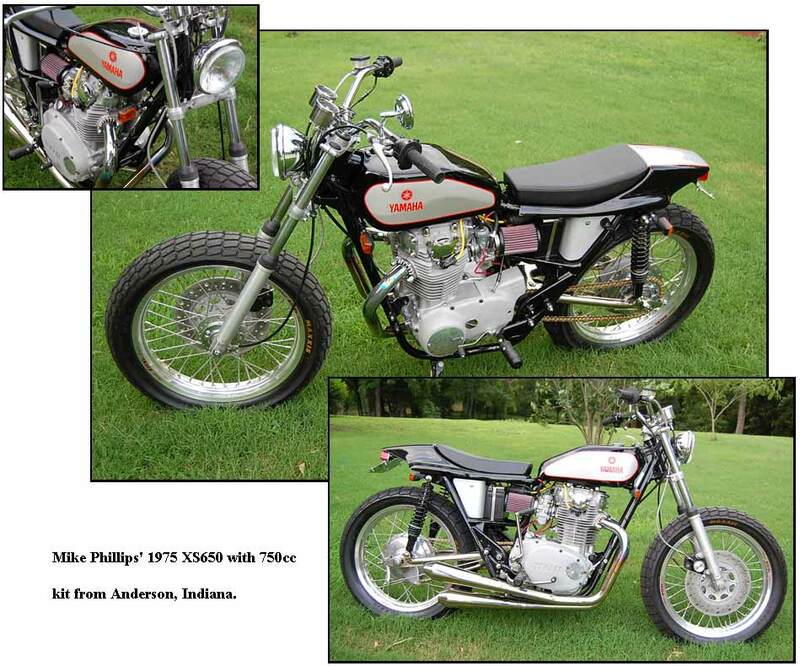 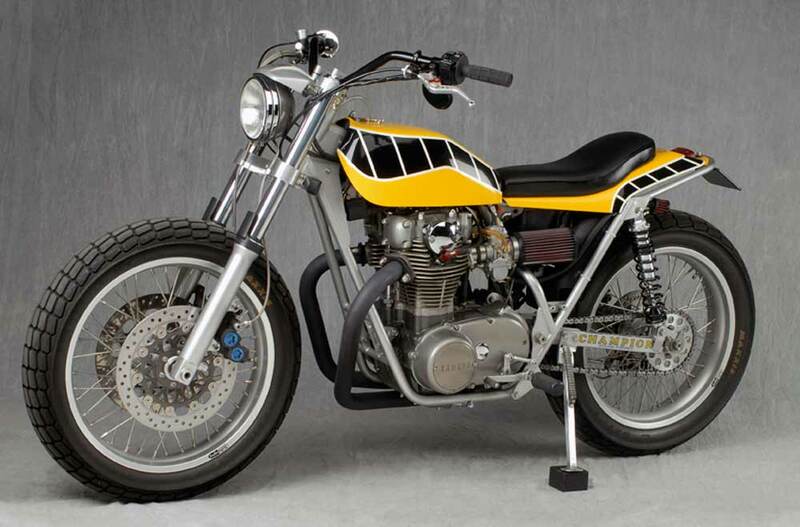 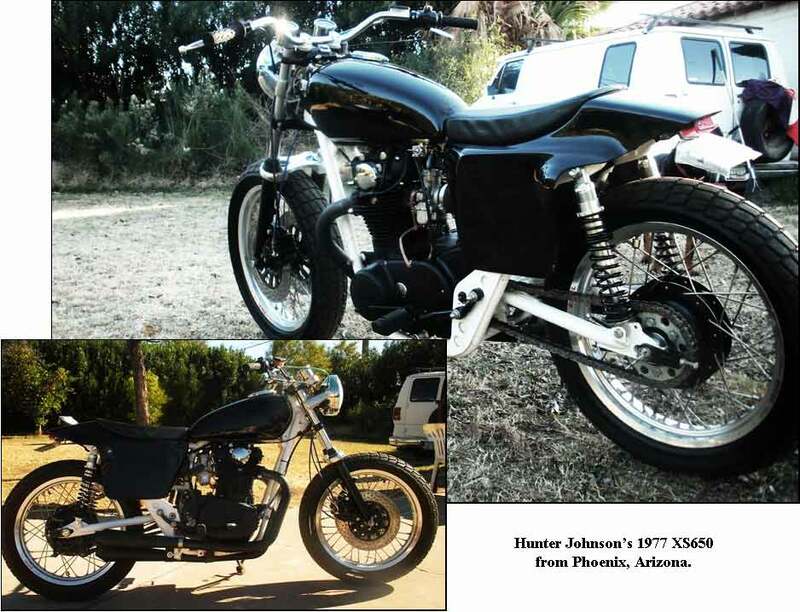 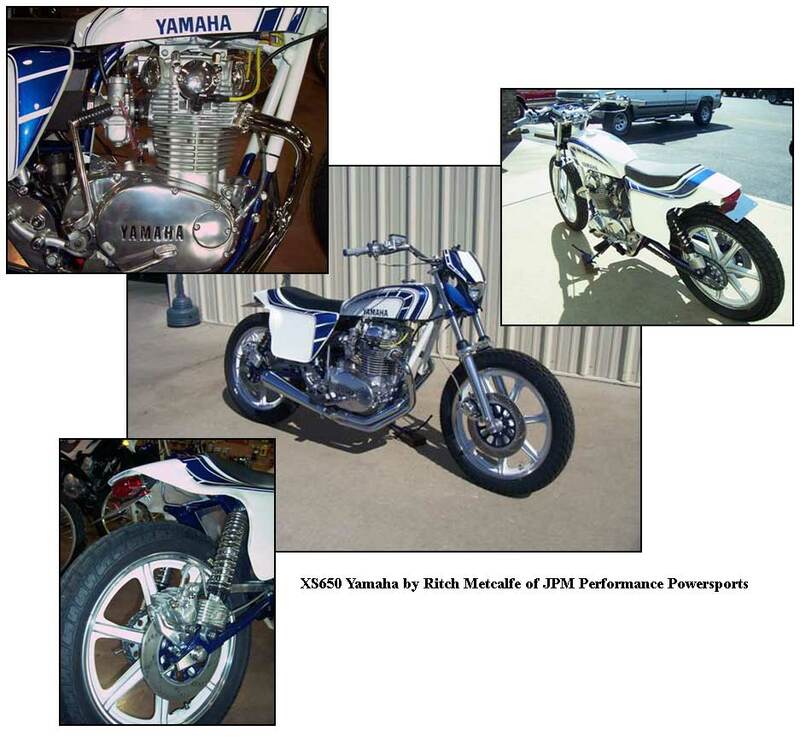 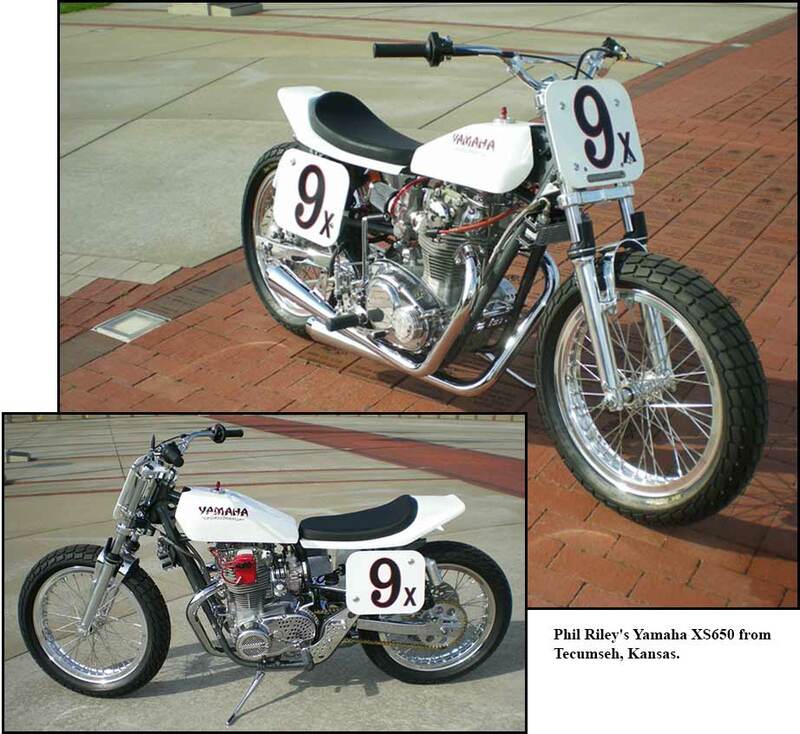 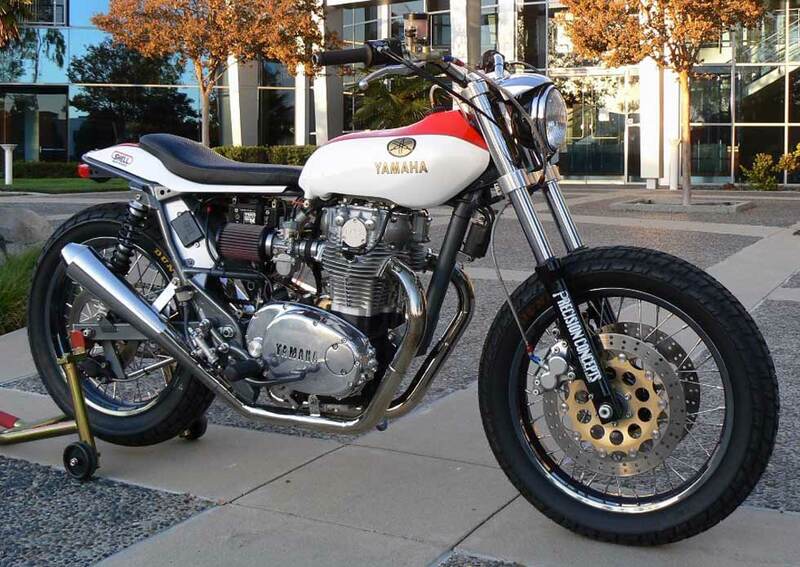 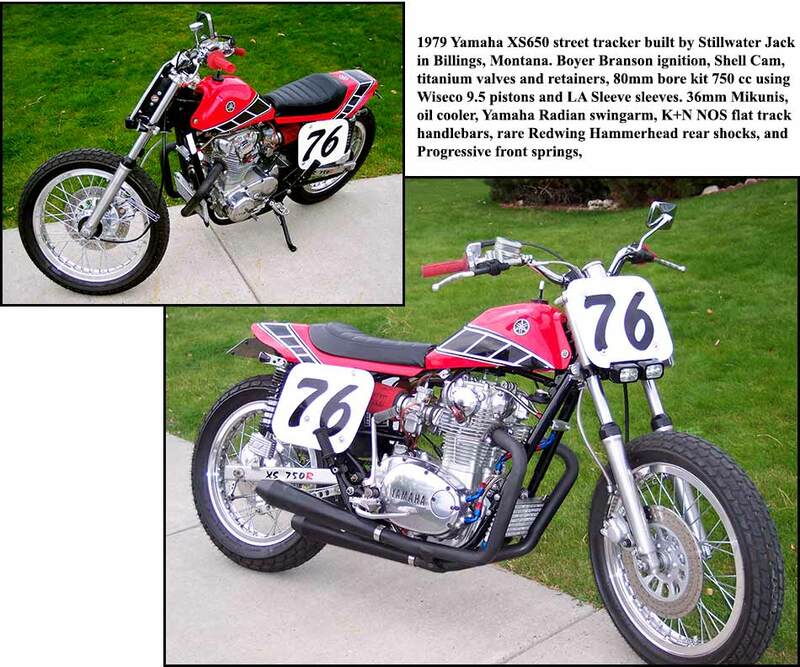 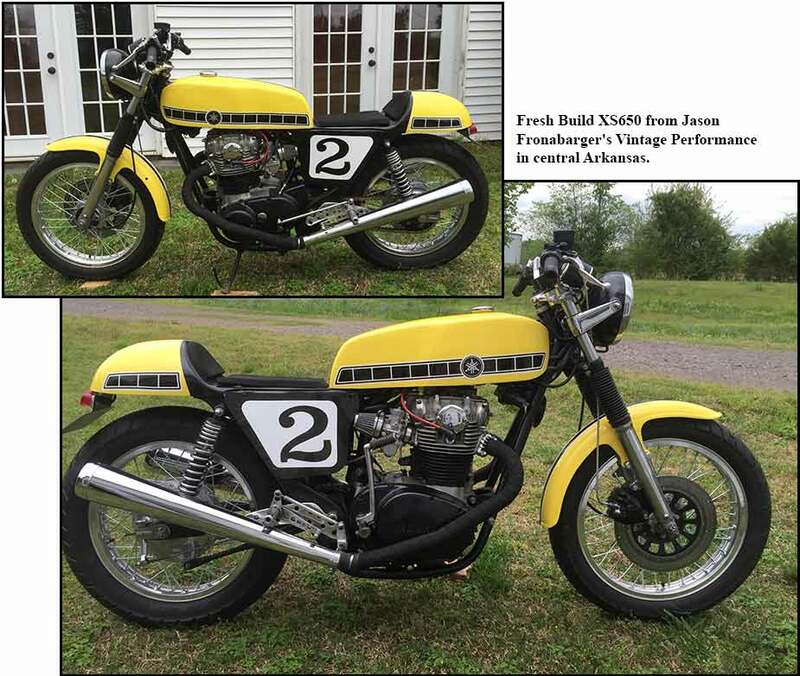 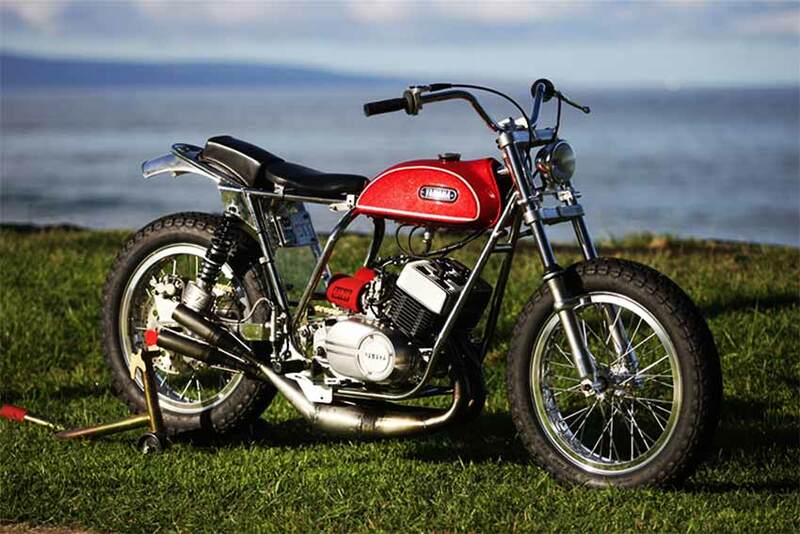 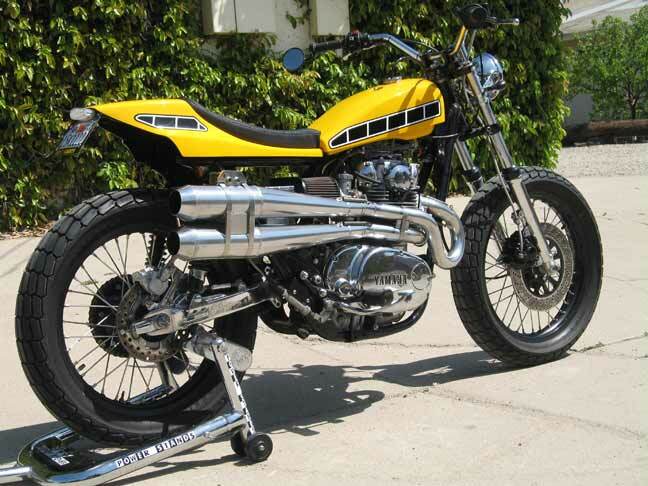 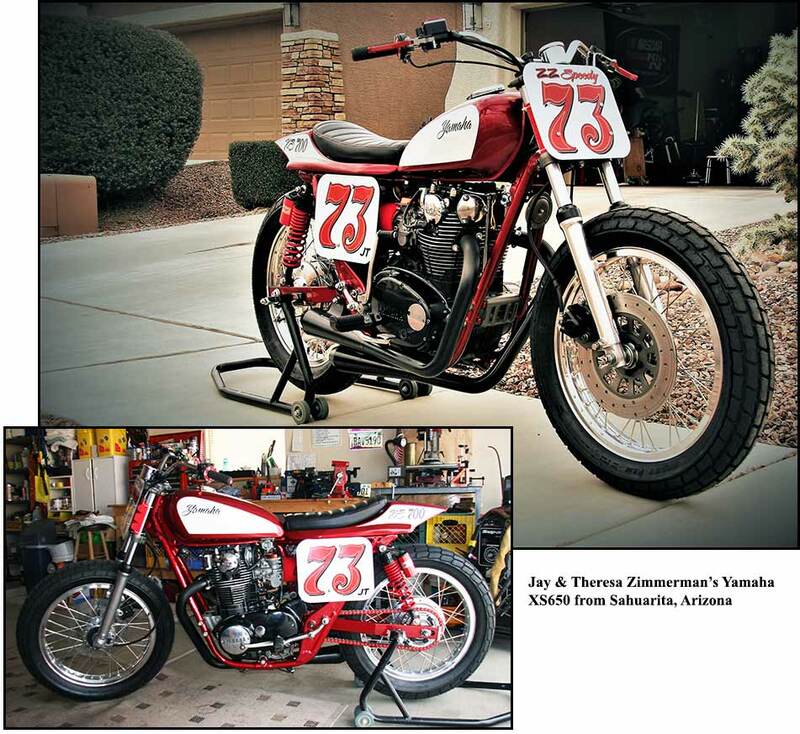 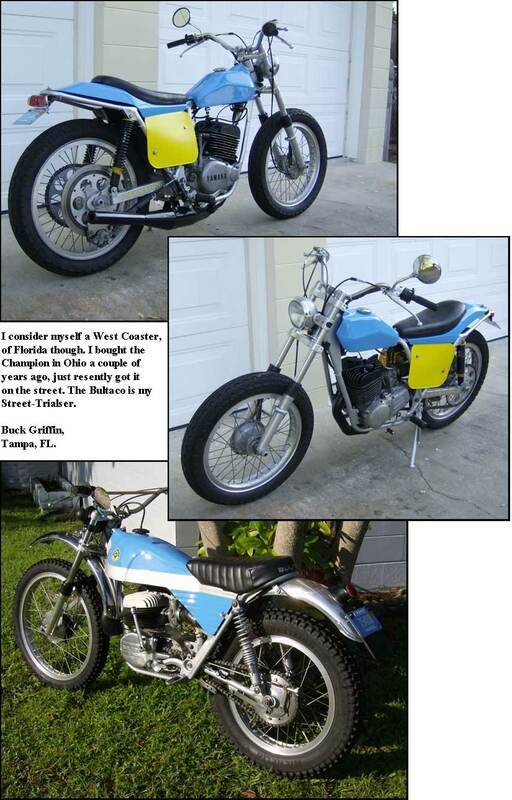 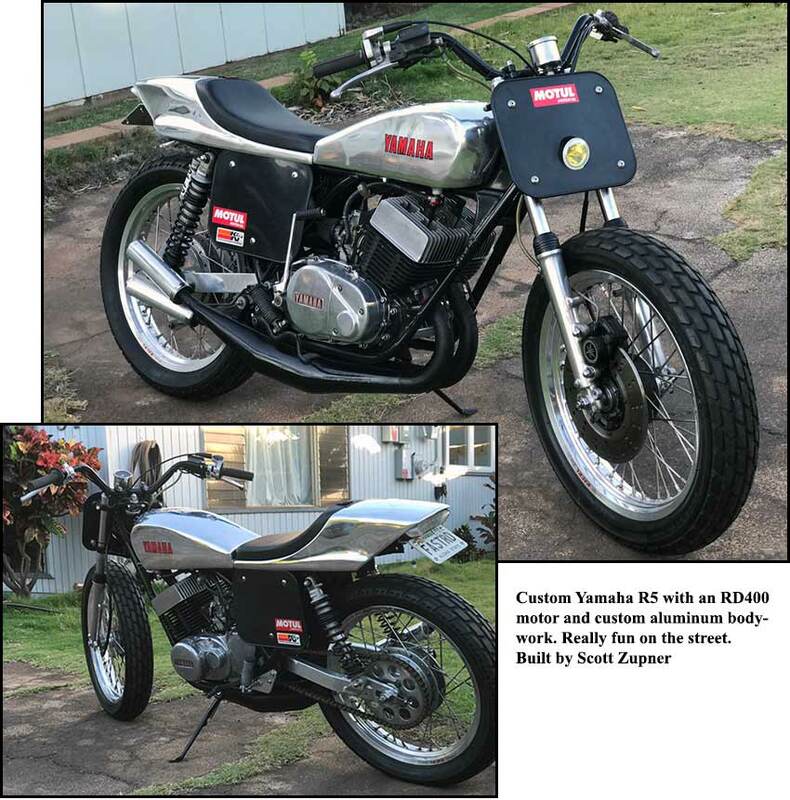 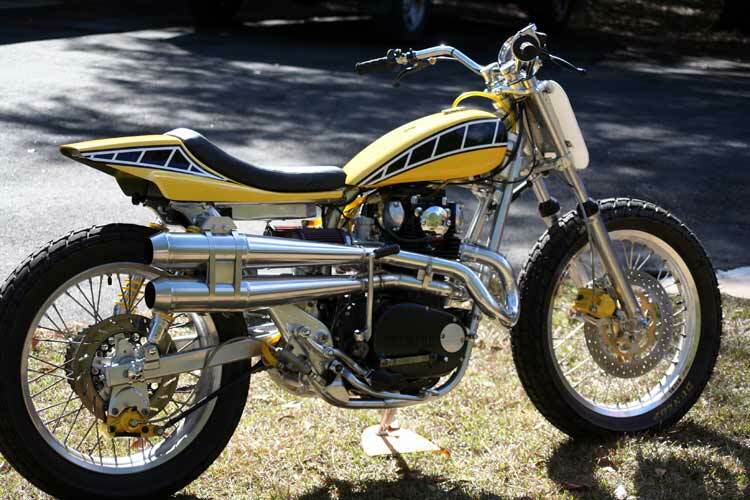 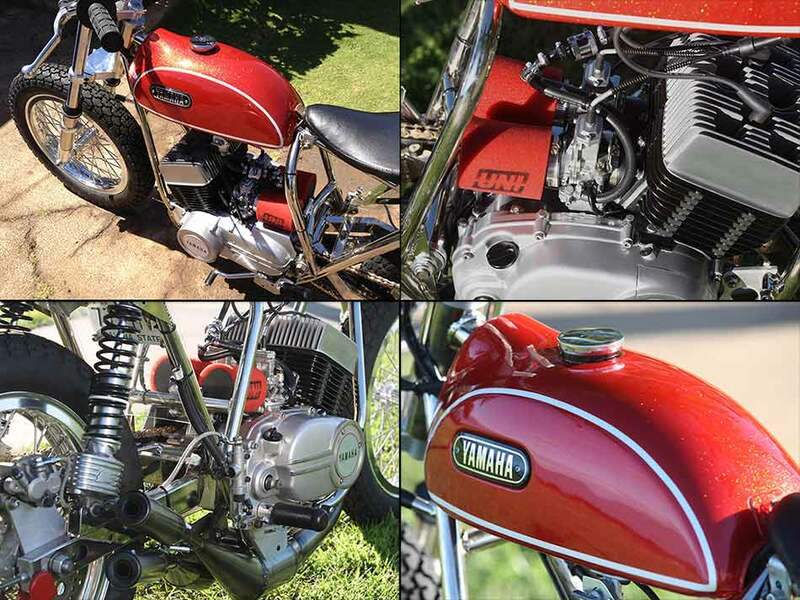 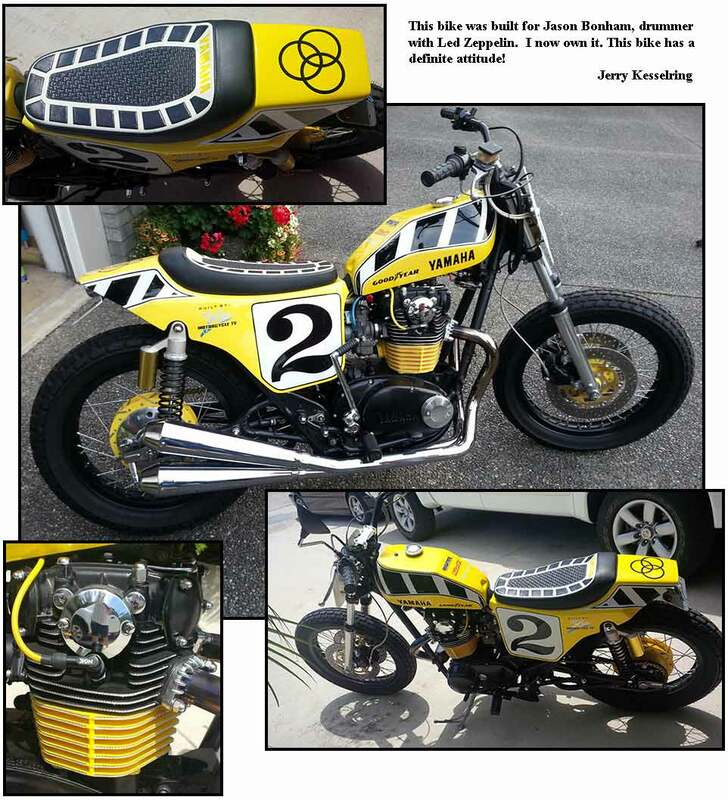 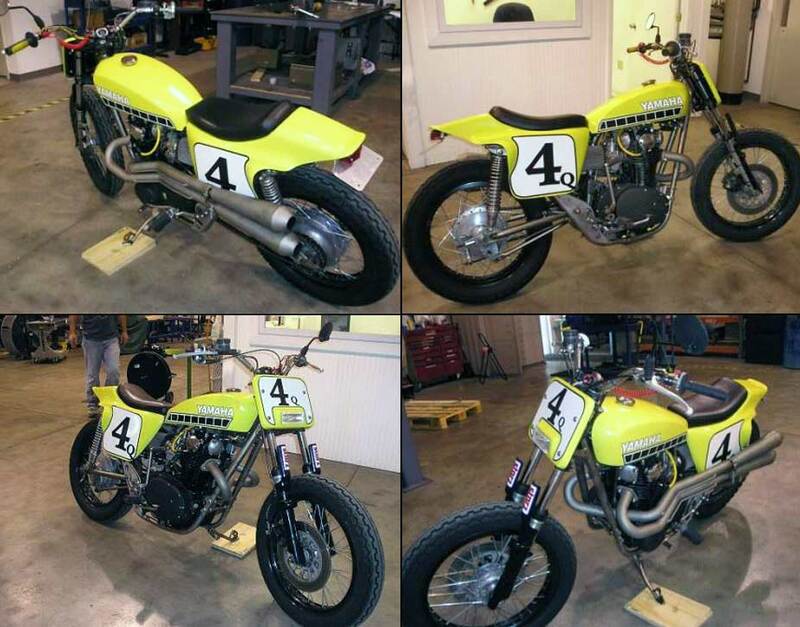 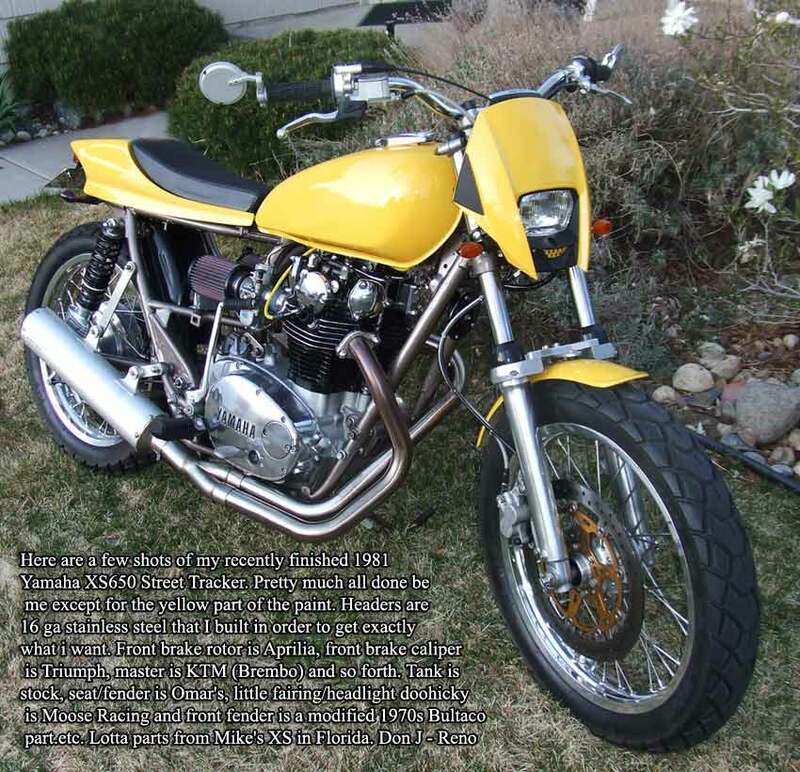 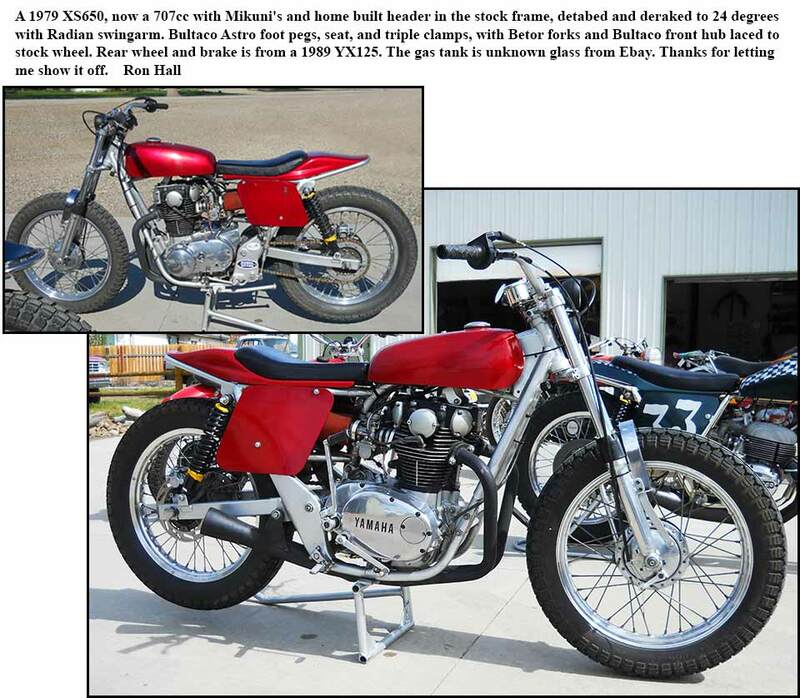 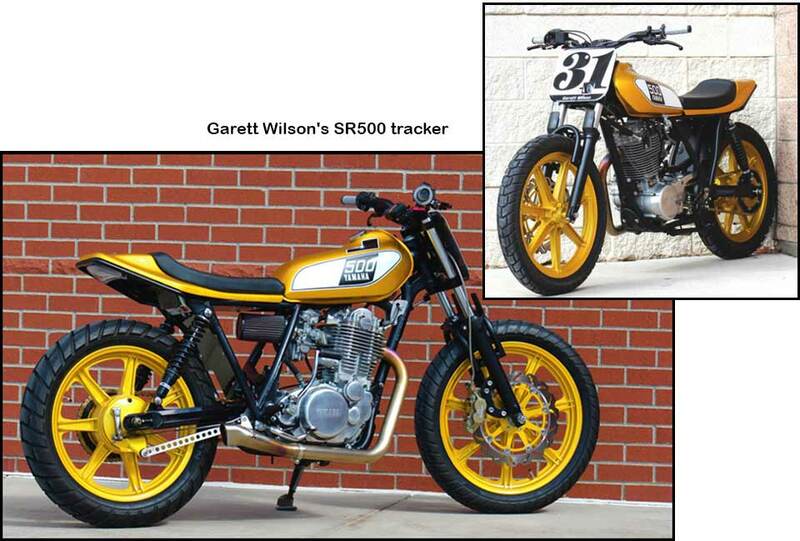 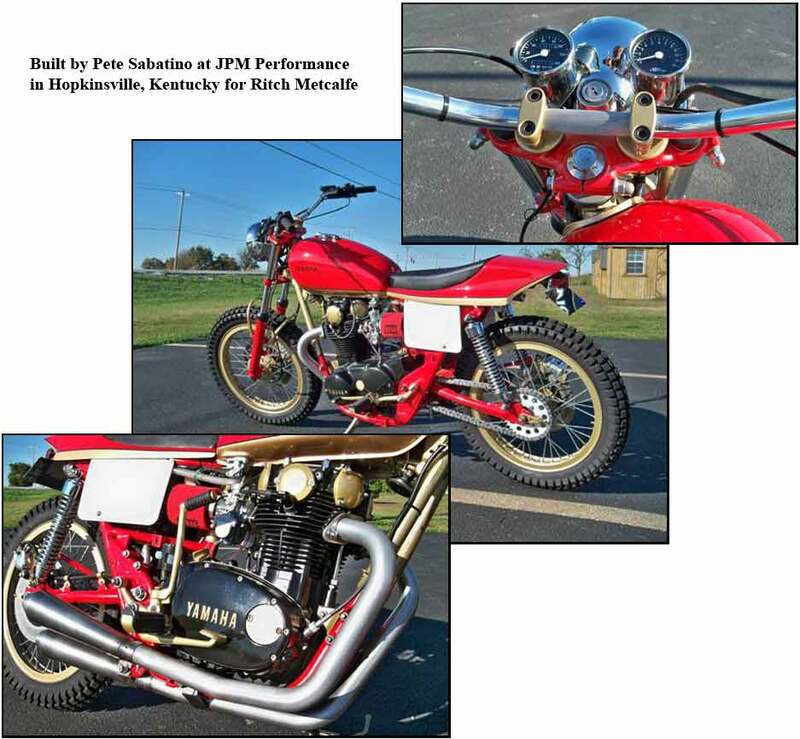 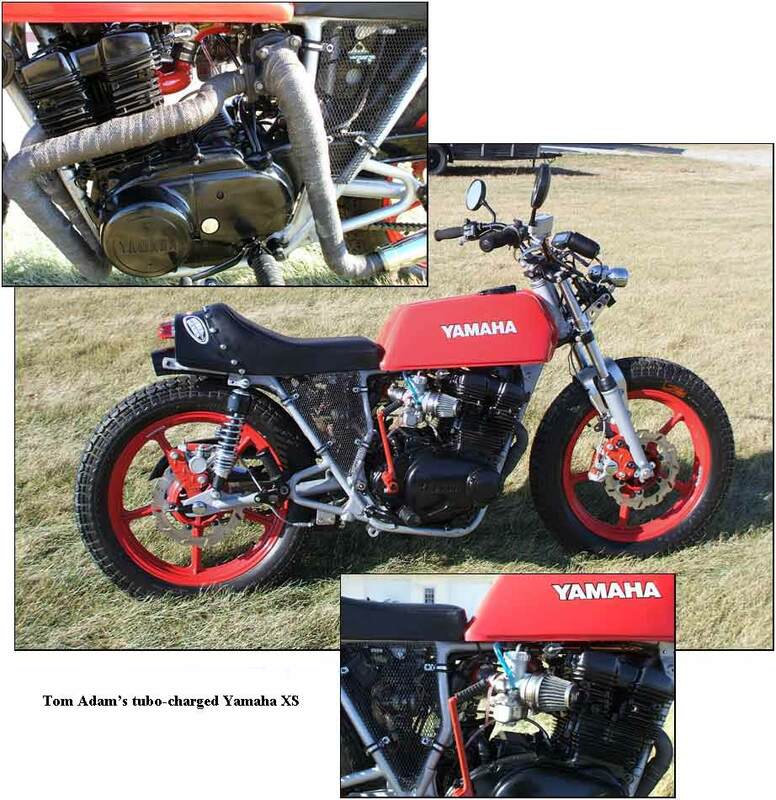 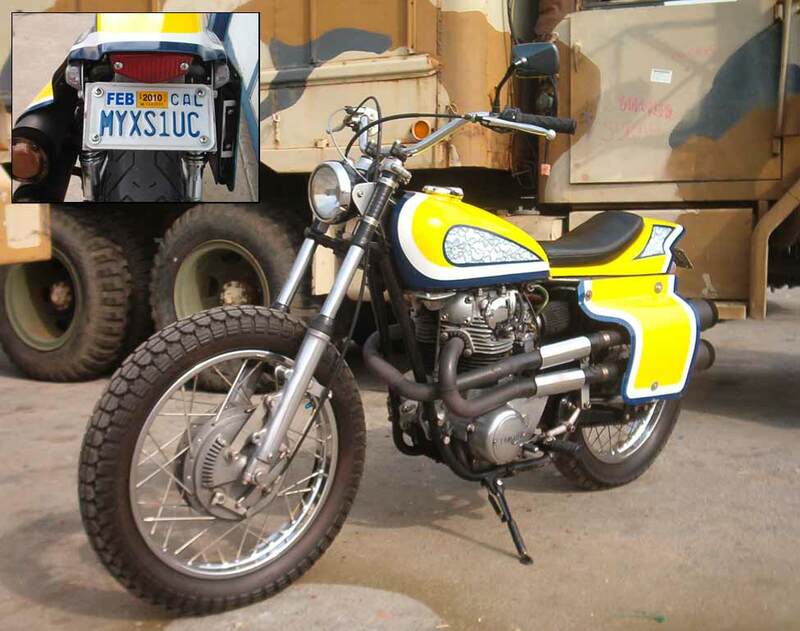 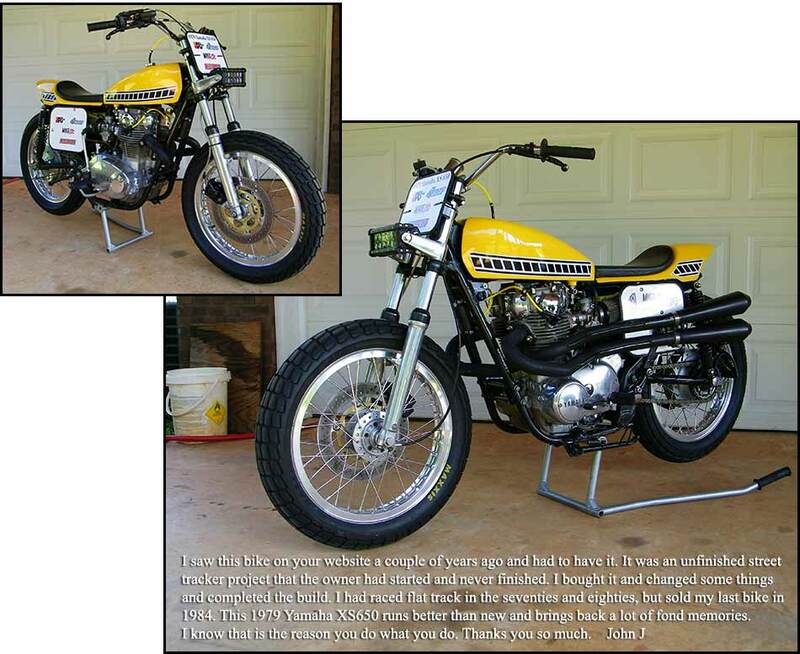 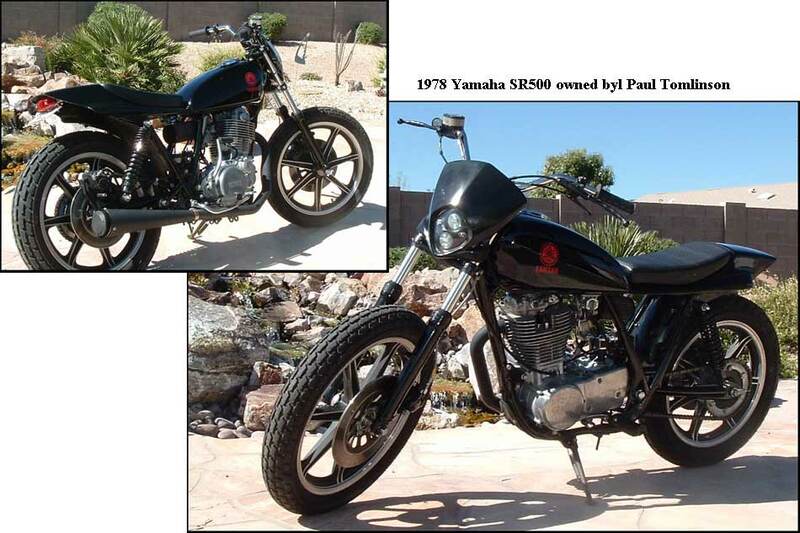 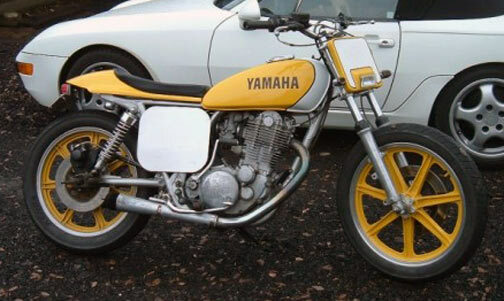 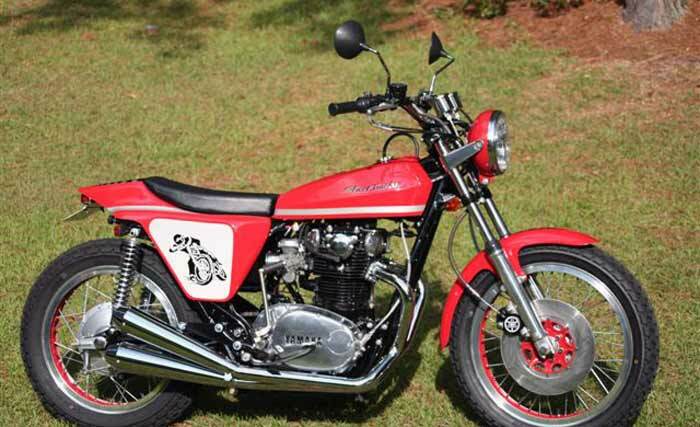 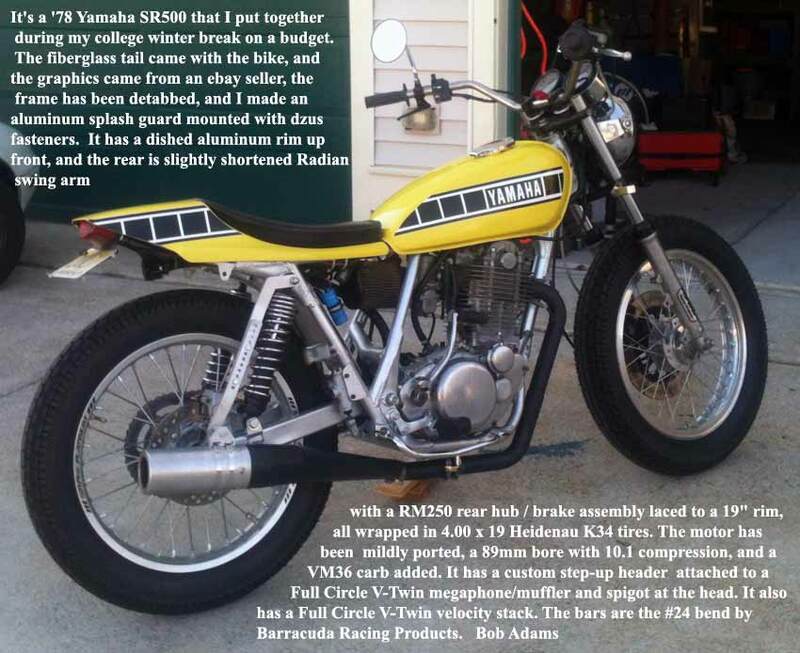 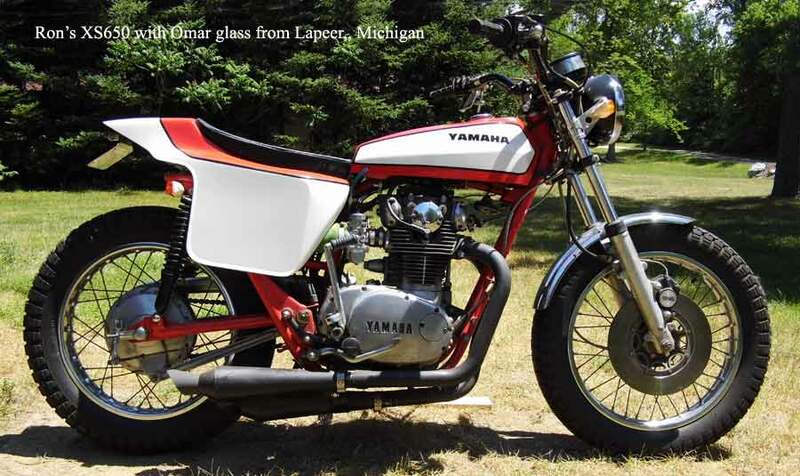 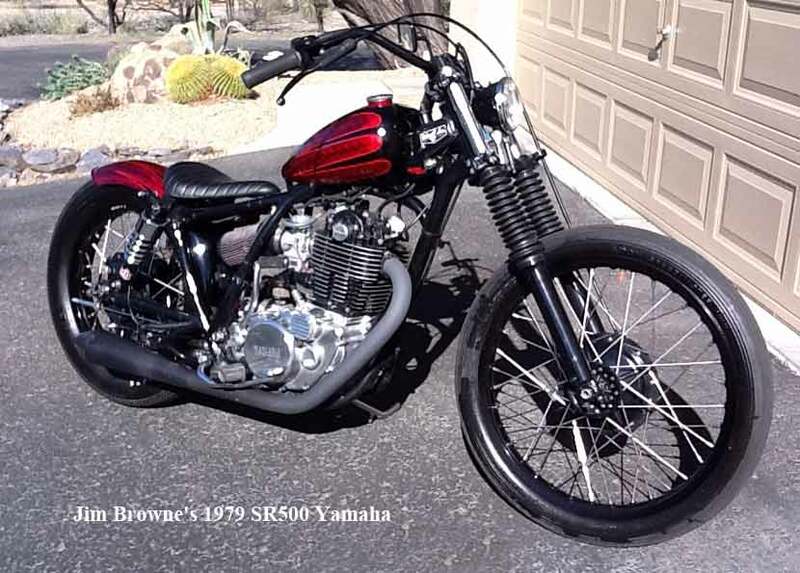 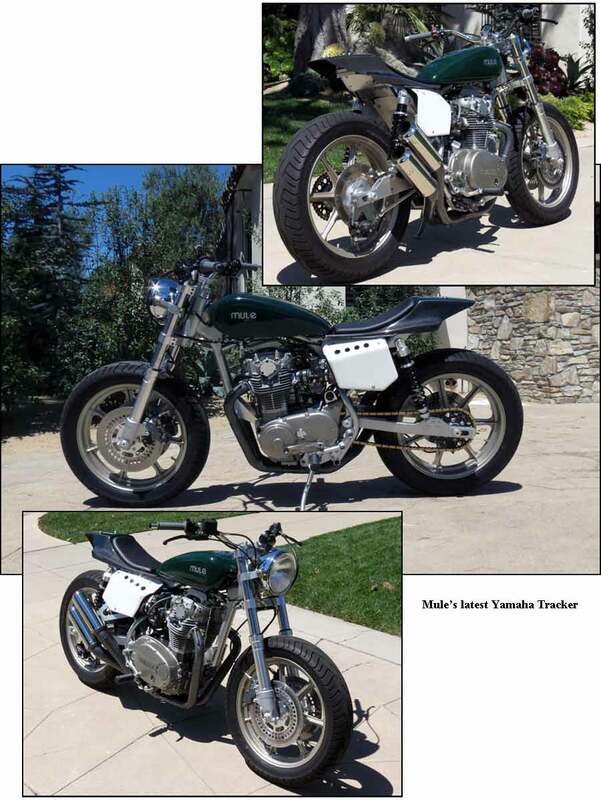 Richard Cooper's Champion Yamaha Tracker is now owned by Mike Keith, Clovis Ca. 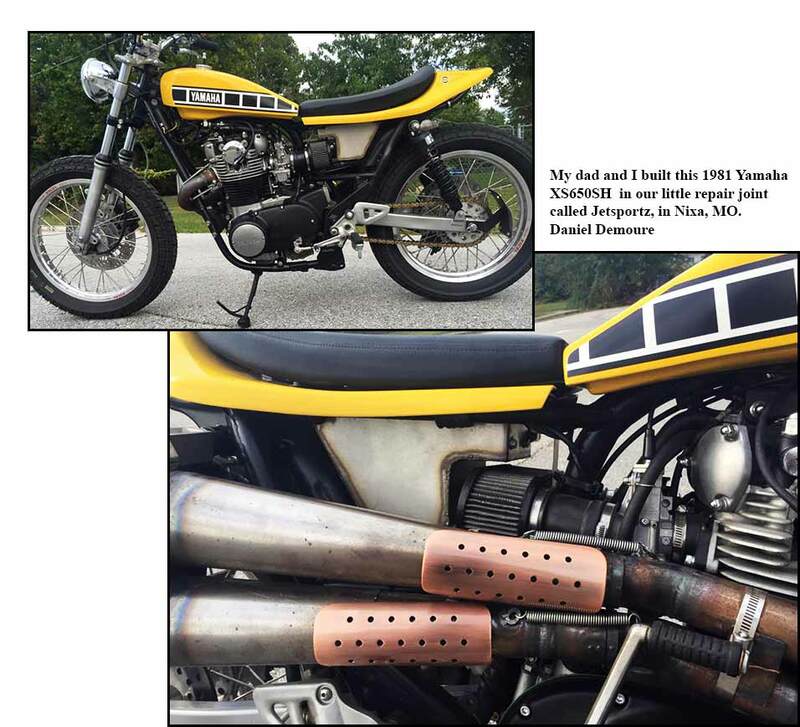 A good, good friend of Dan Rouit. 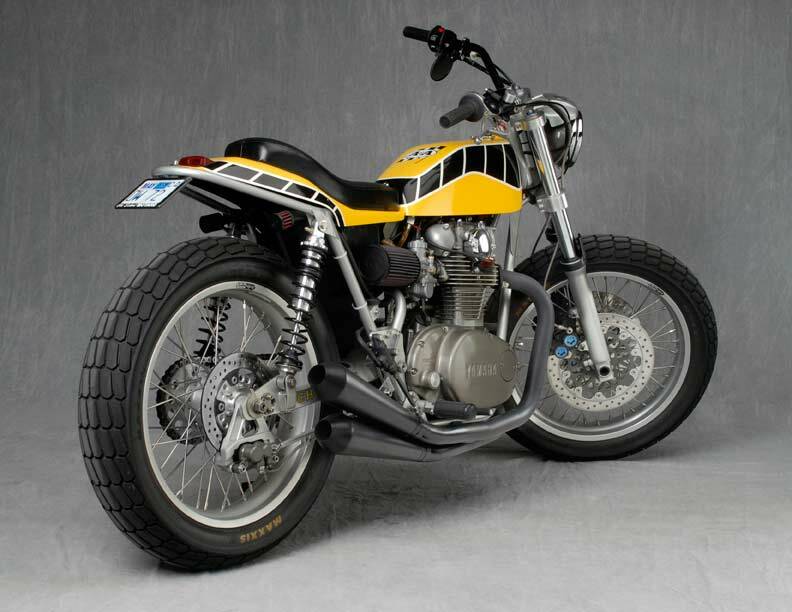 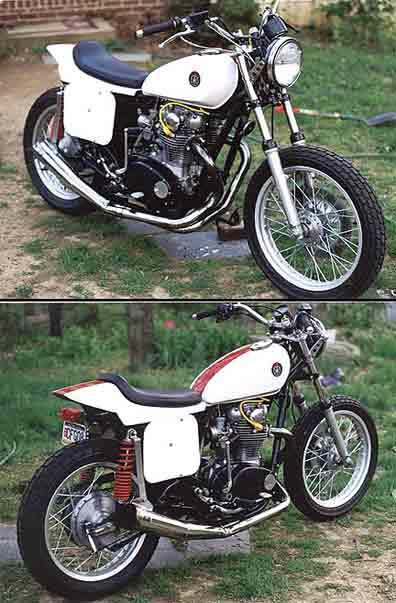 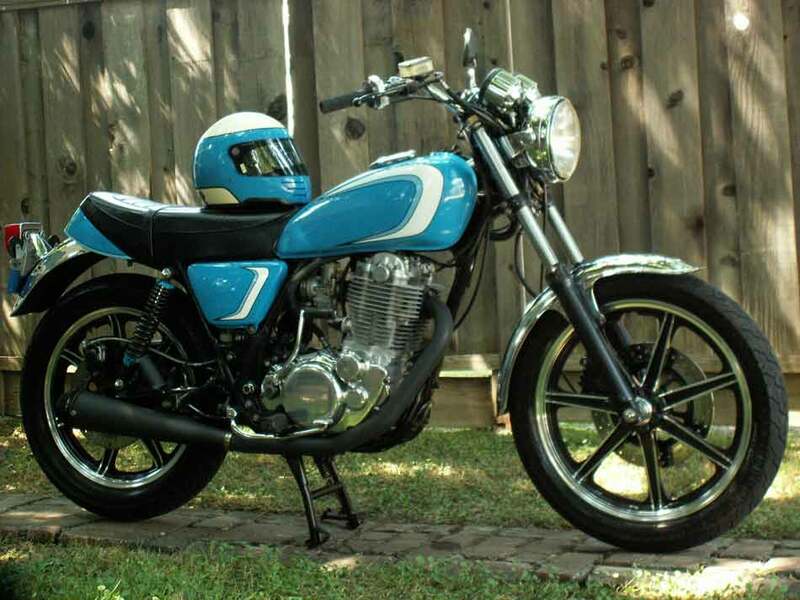 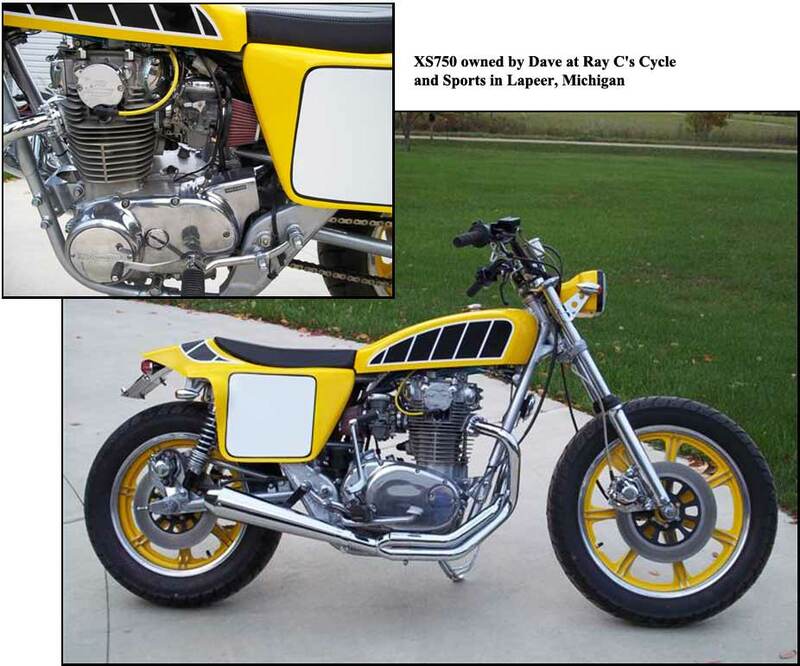 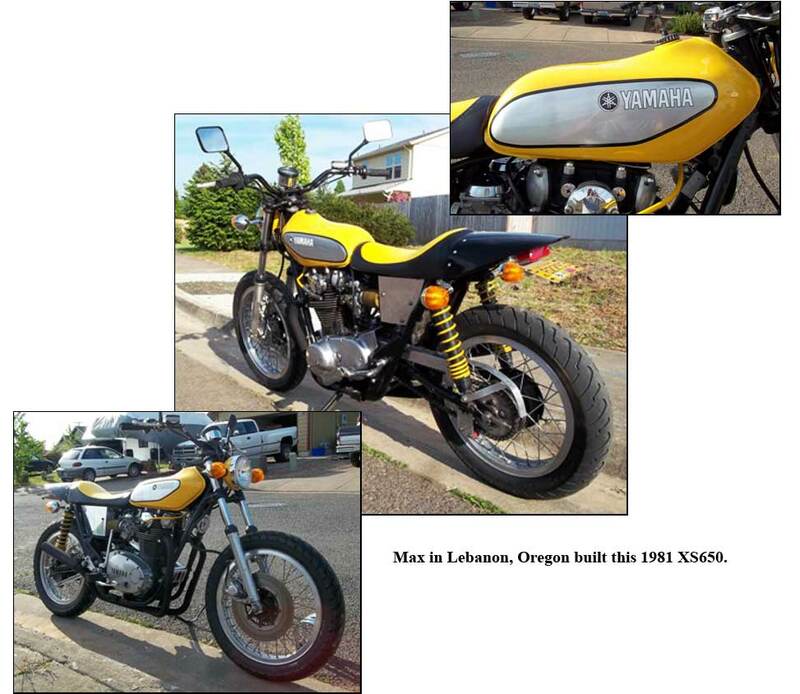 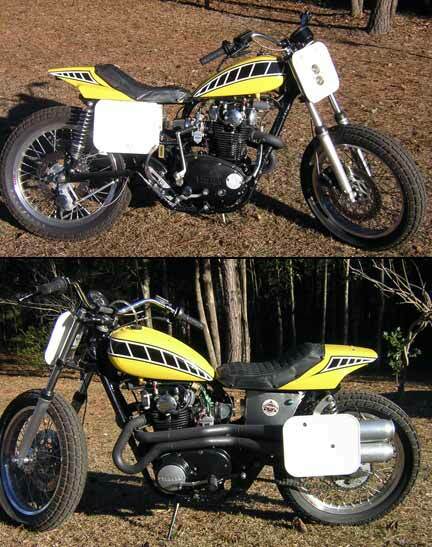 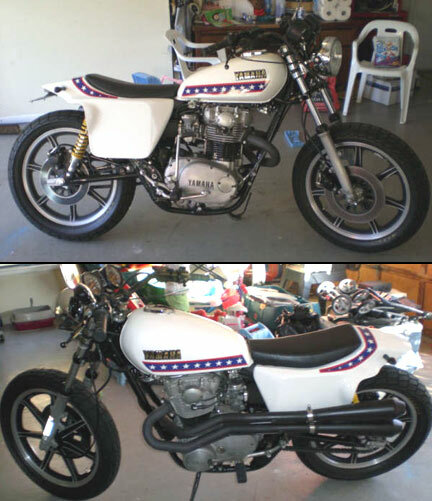 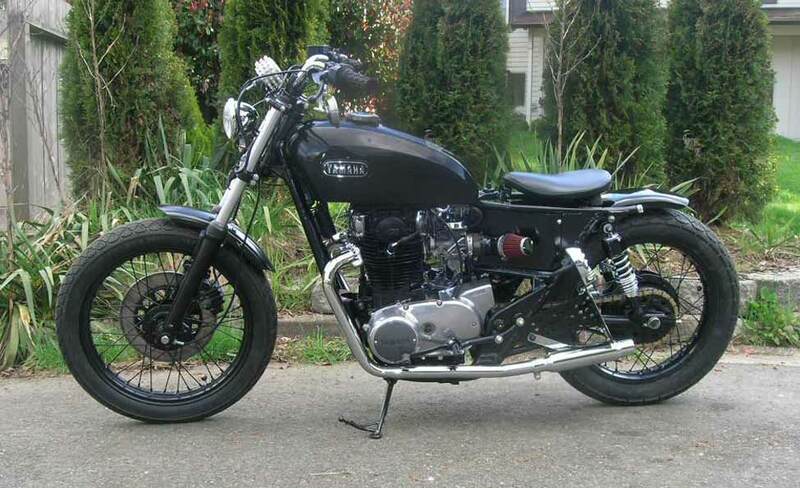 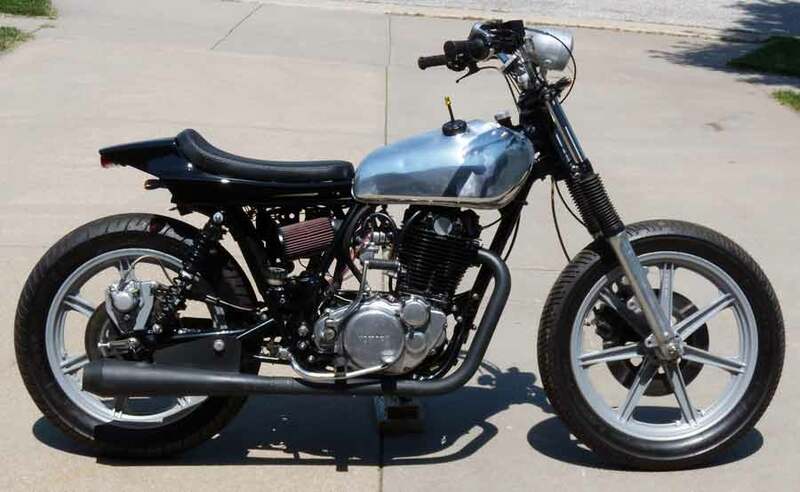 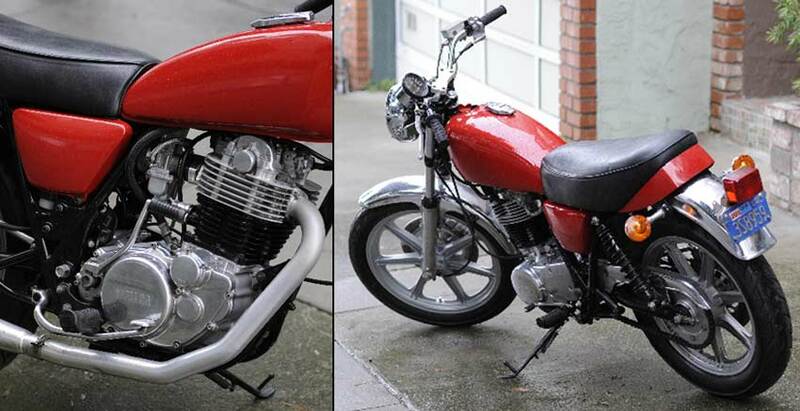 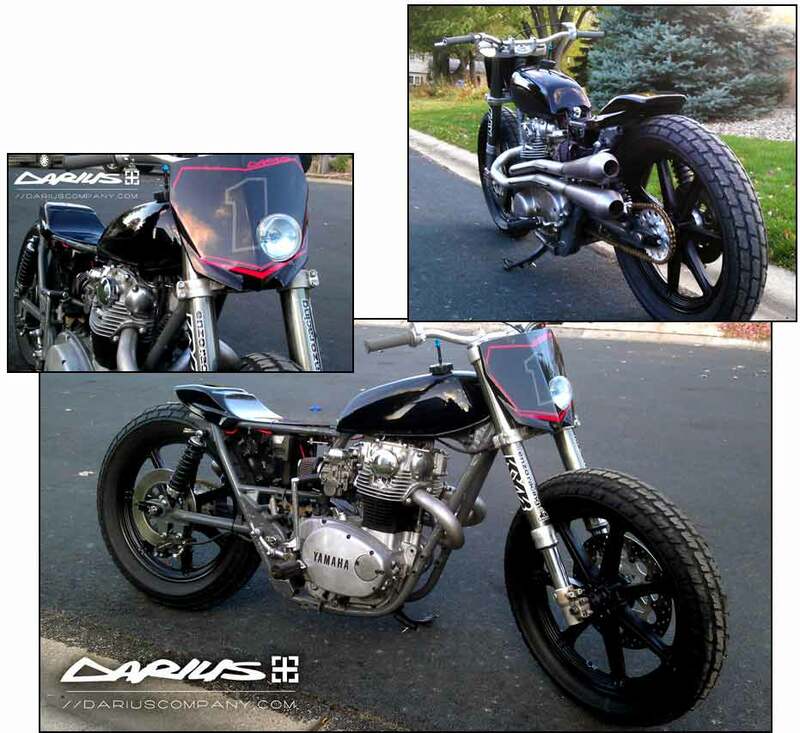 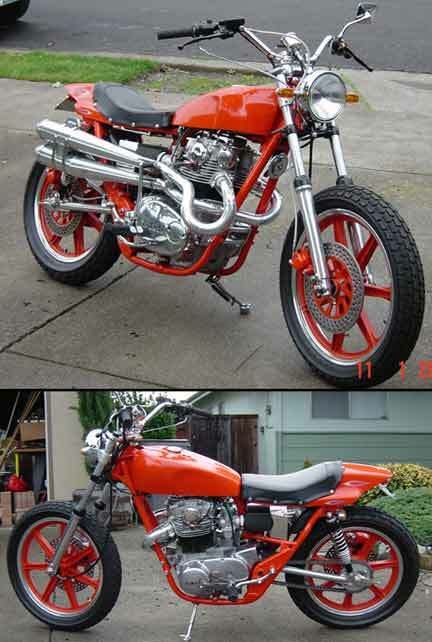 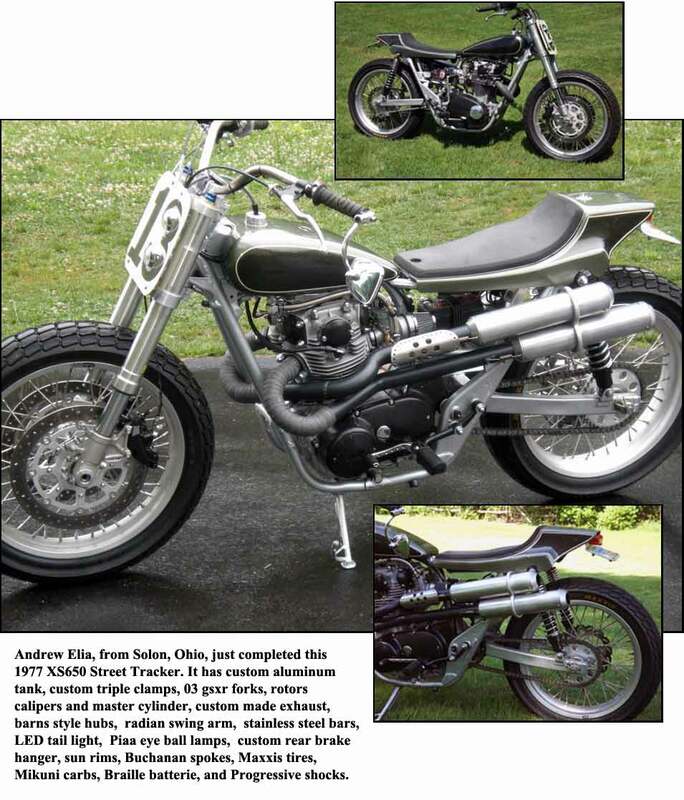 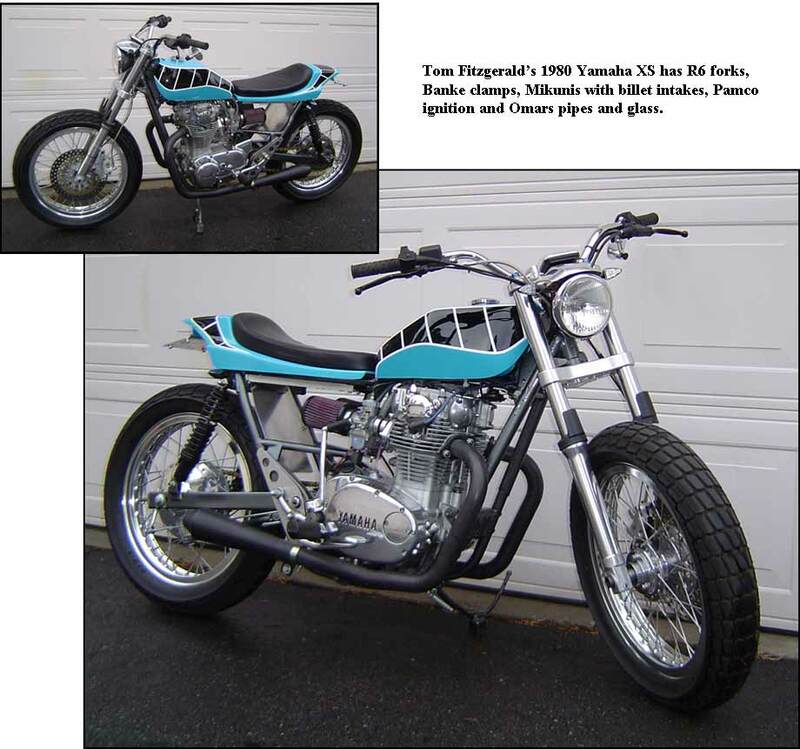 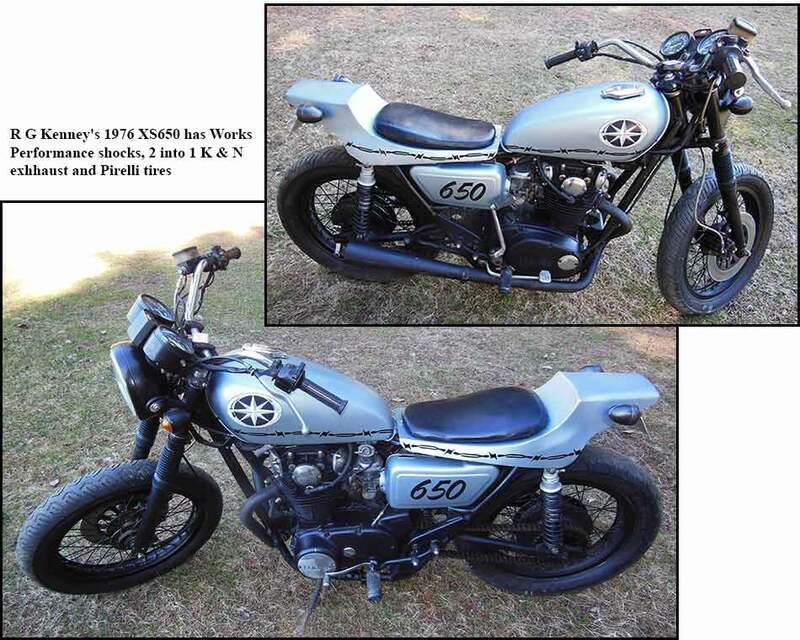 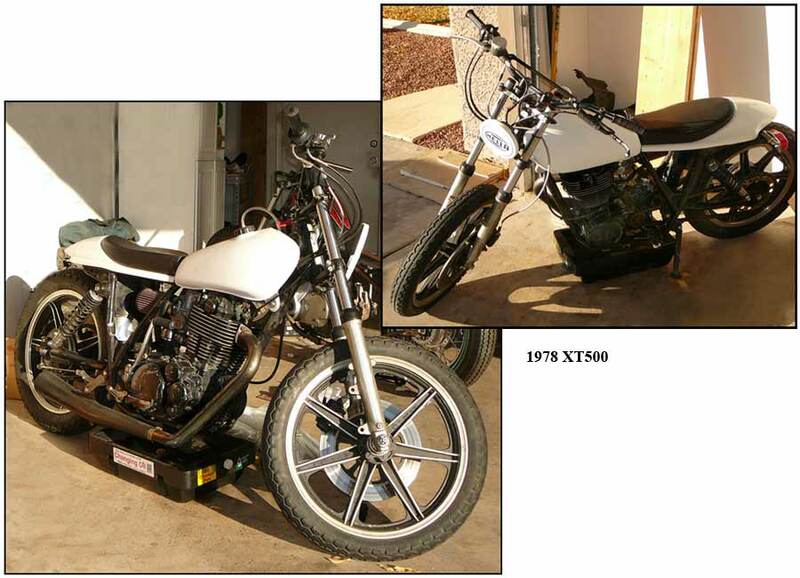 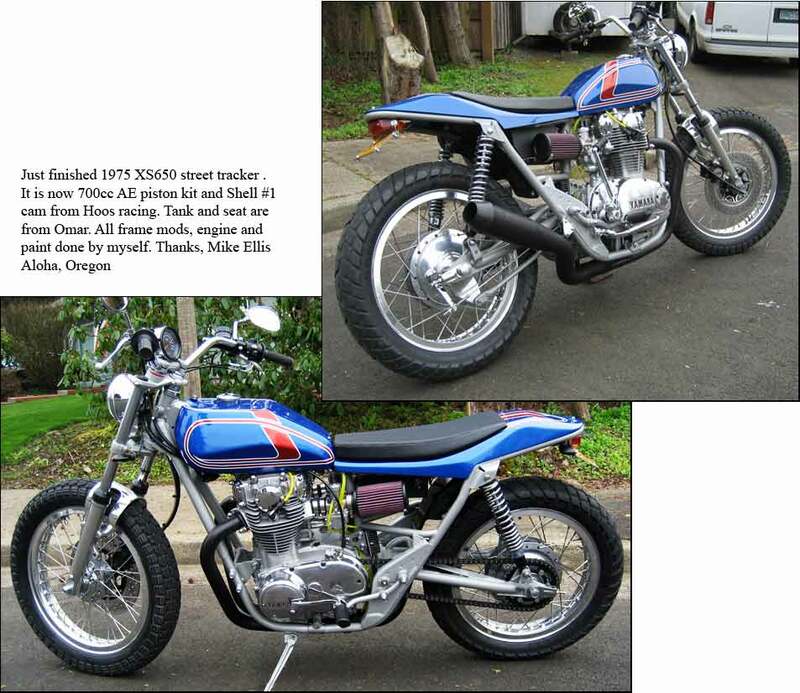 From San Francisco, Dan Dewey's 1979 XS650 has Omar's tank, seat/tail, rear wheel adopter and fork brace. 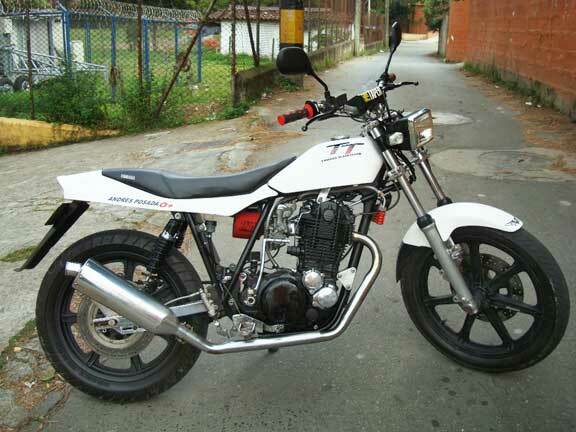 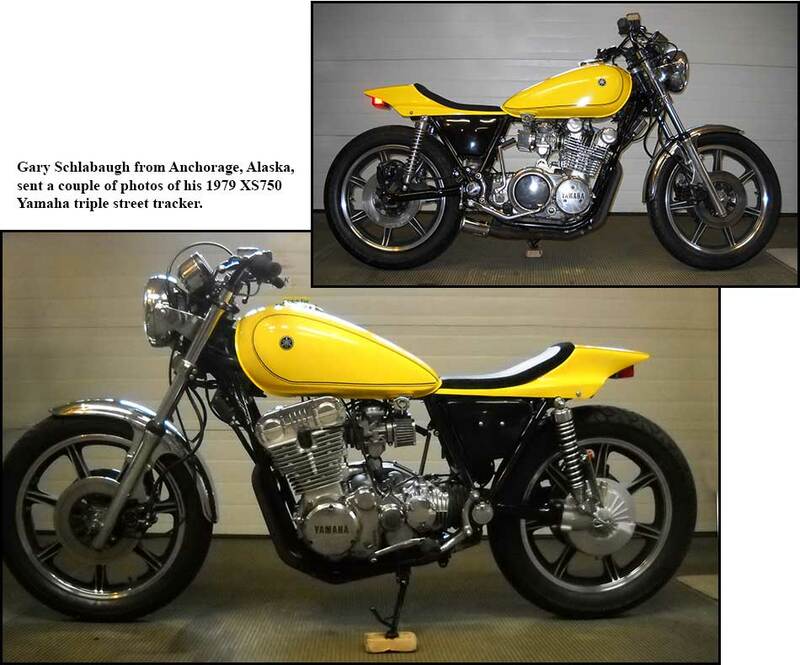 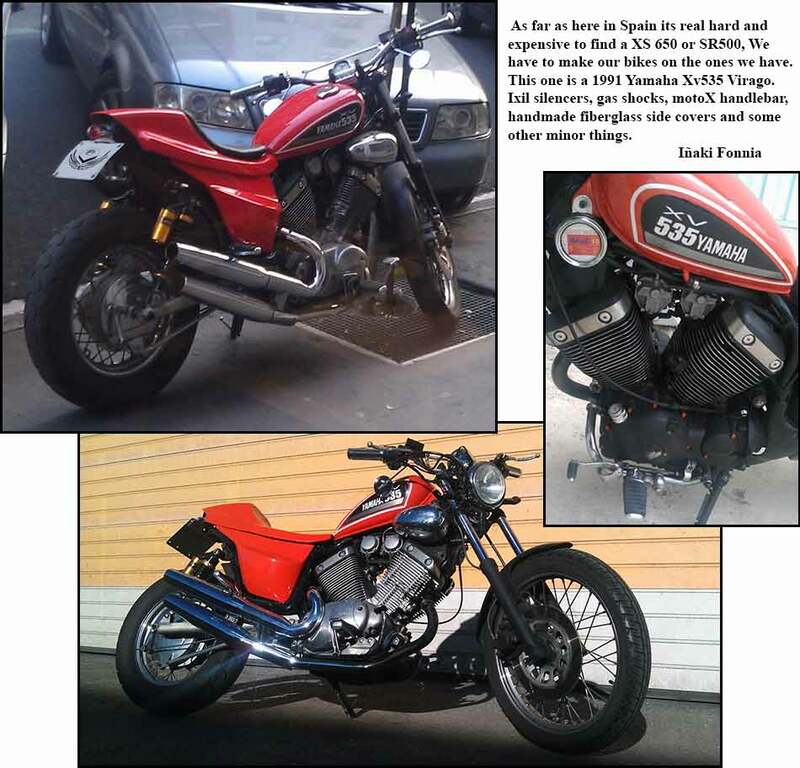 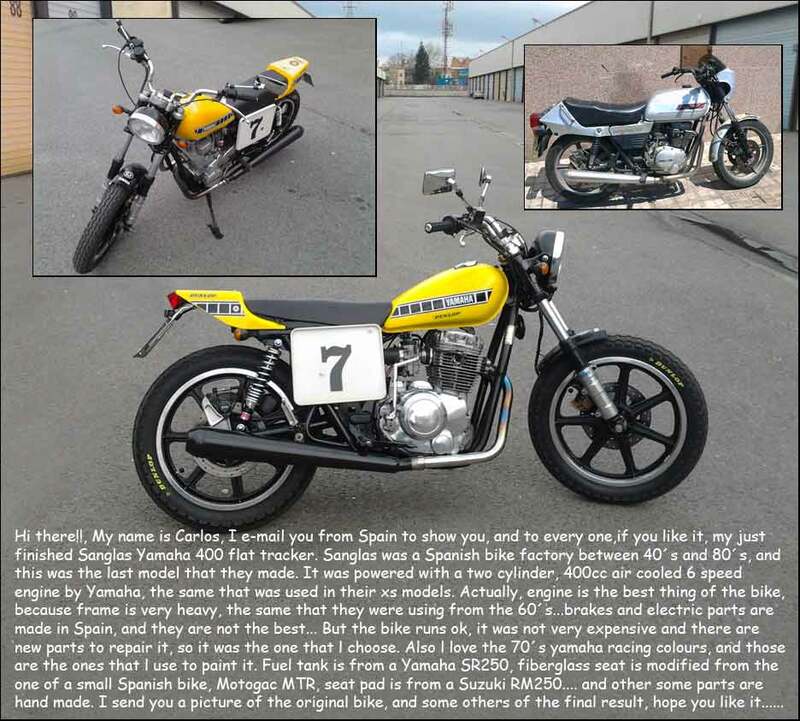 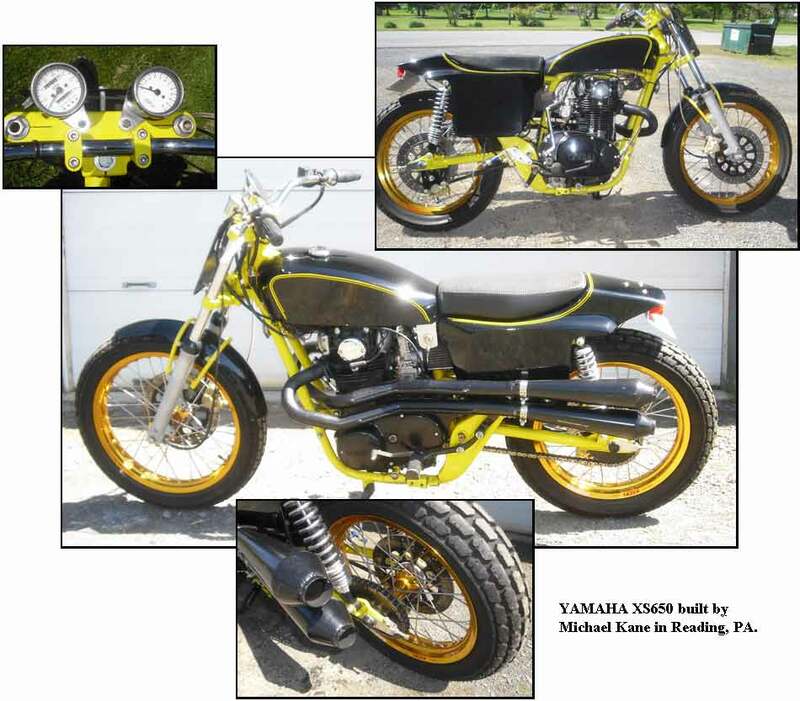 From the Netherlands, Michel van Rossen's XS with 710cc engine, racing-cam and performance exhaust. 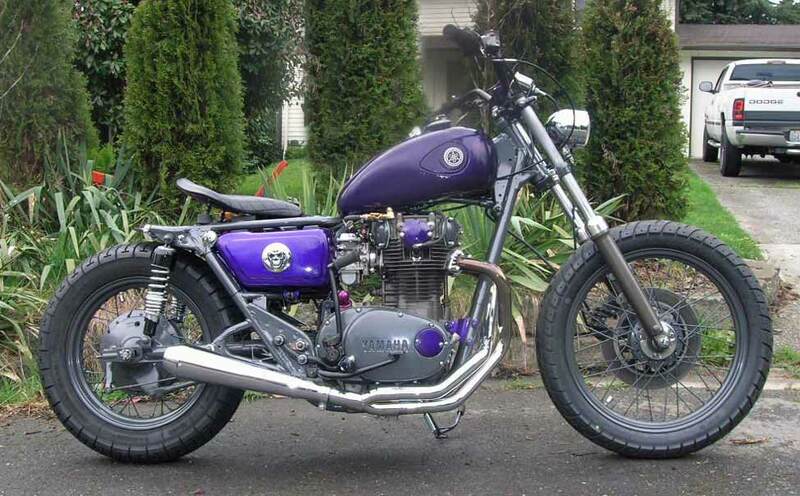 The external oilcooler keeps it cool. 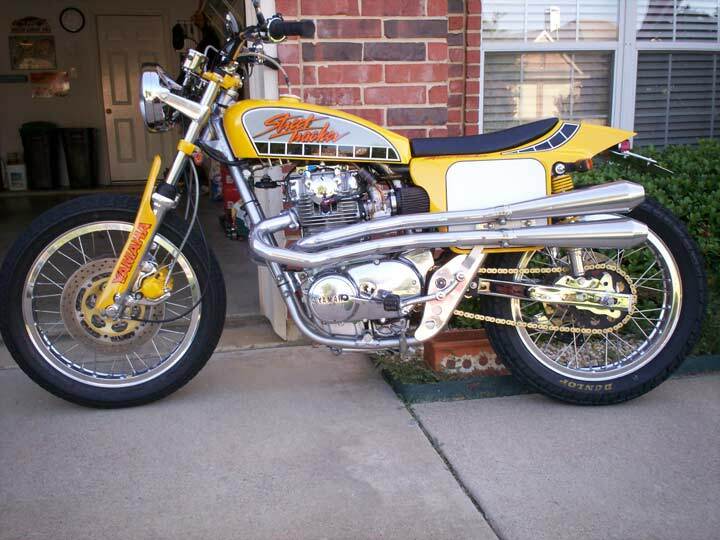 and fork kit. 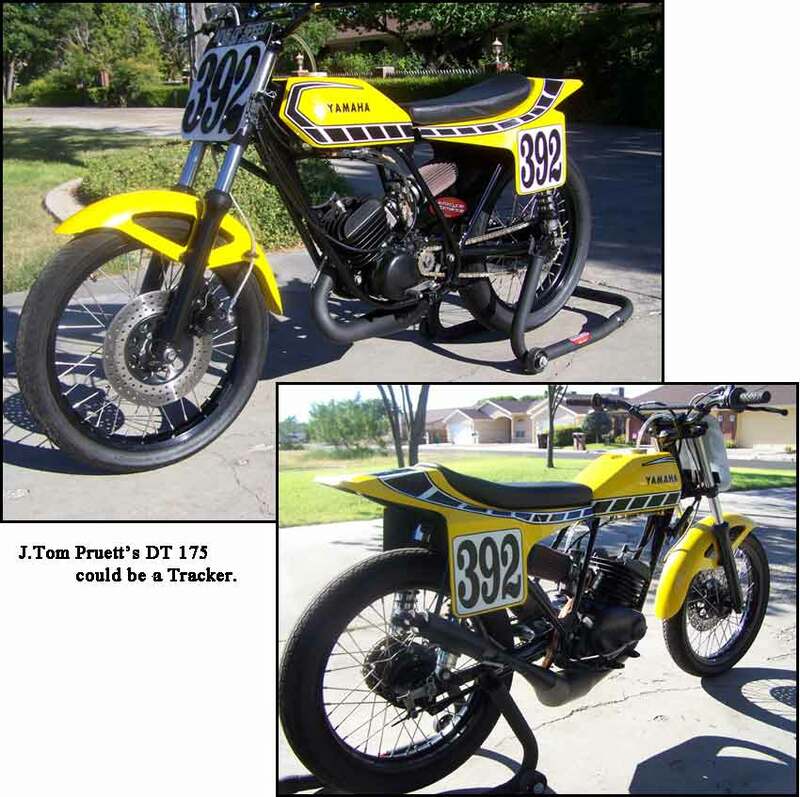 Trail Tech Vapor instruments. 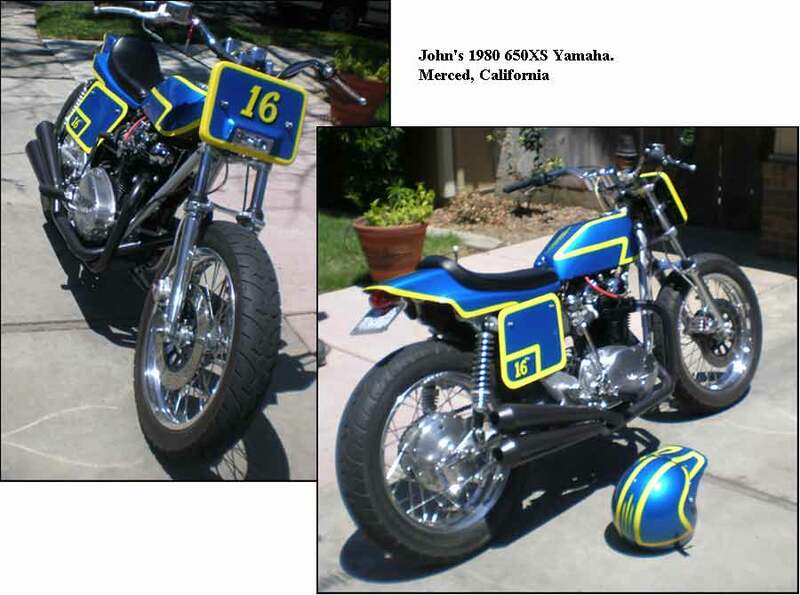 Custom paint by Scott Johnson. 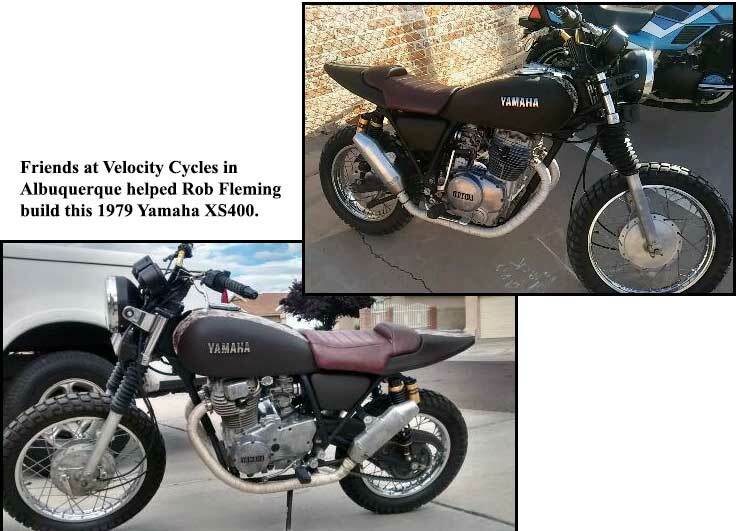 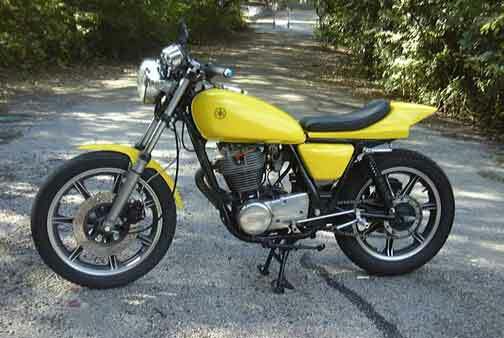 Not exactly a tracker, but a nice 1987 SR500. 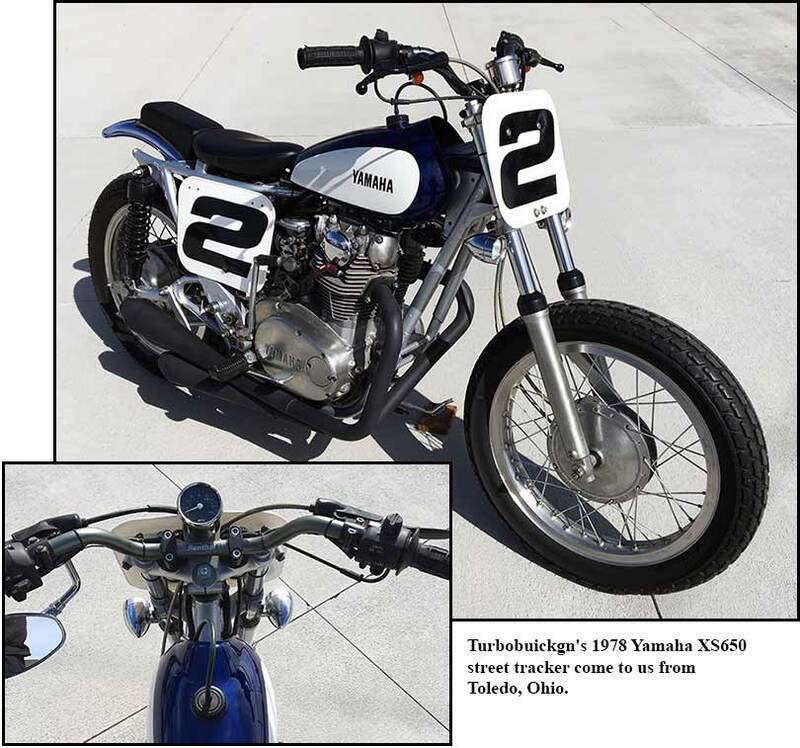 Terry Zimmerman San Jose, CA. 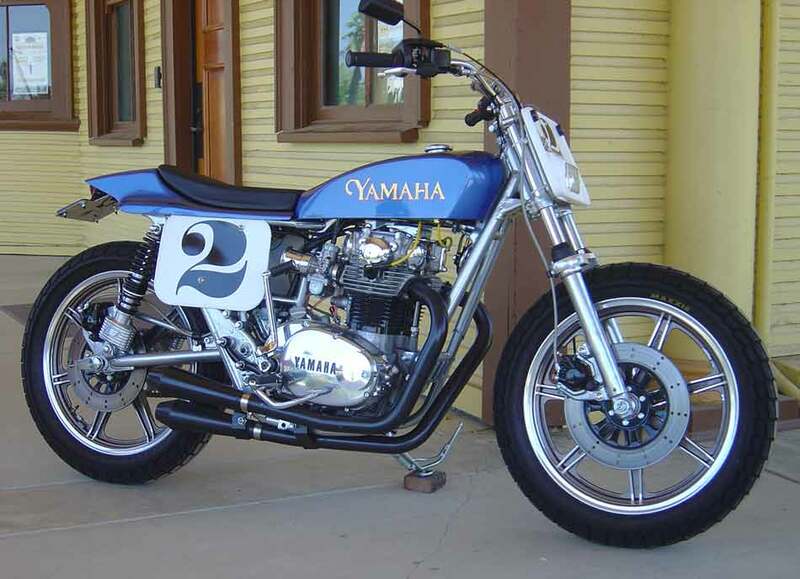 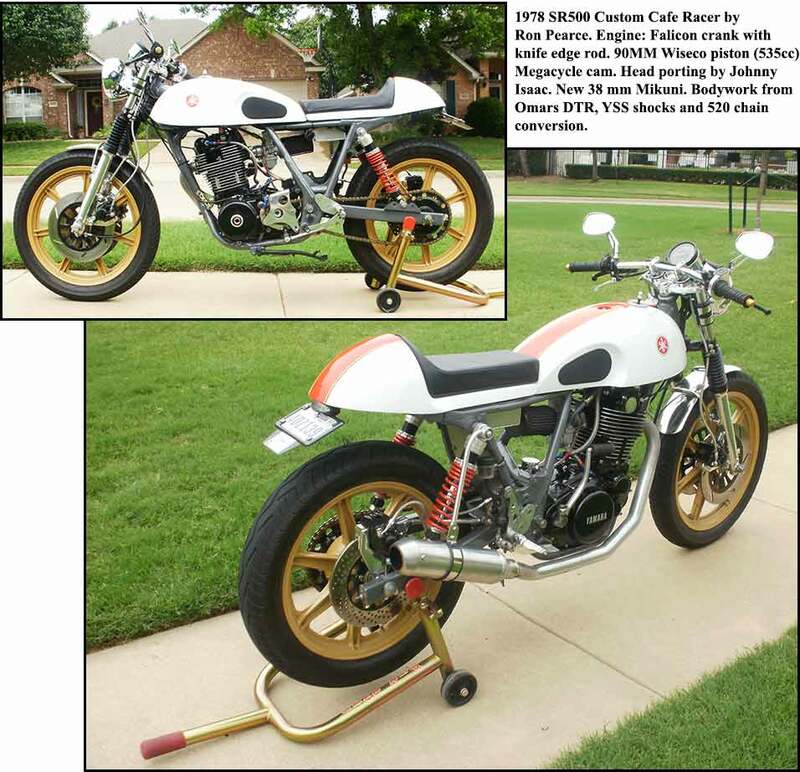 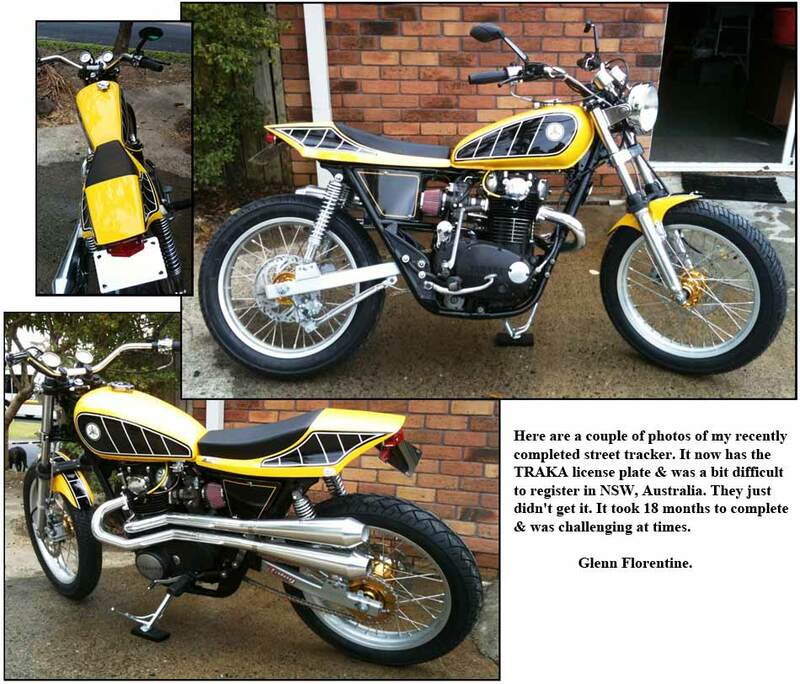 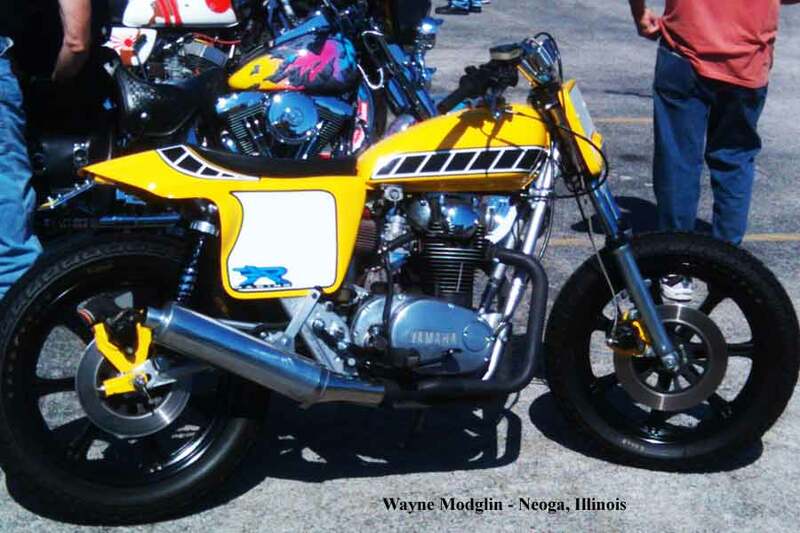 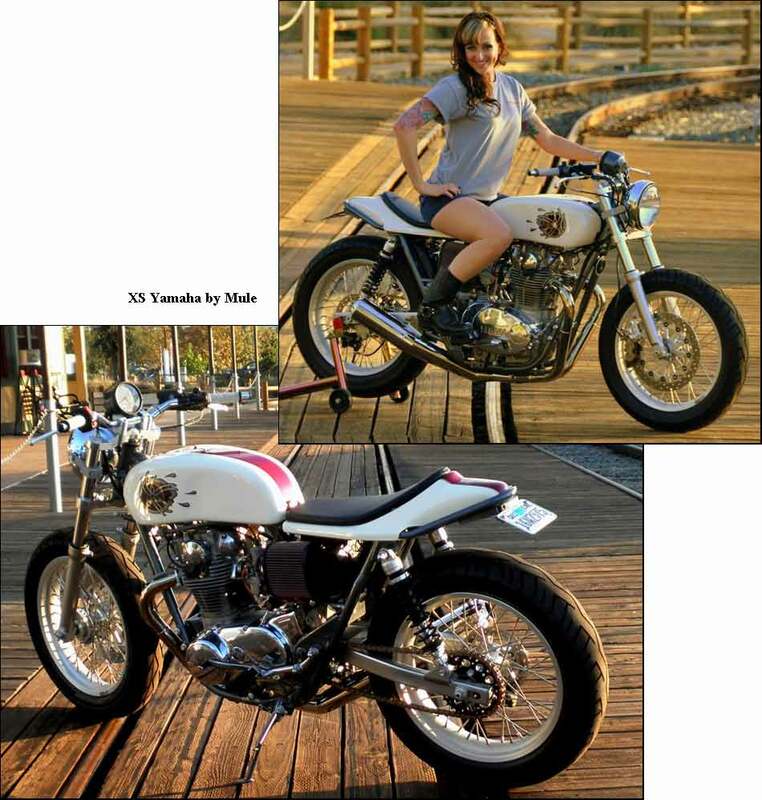 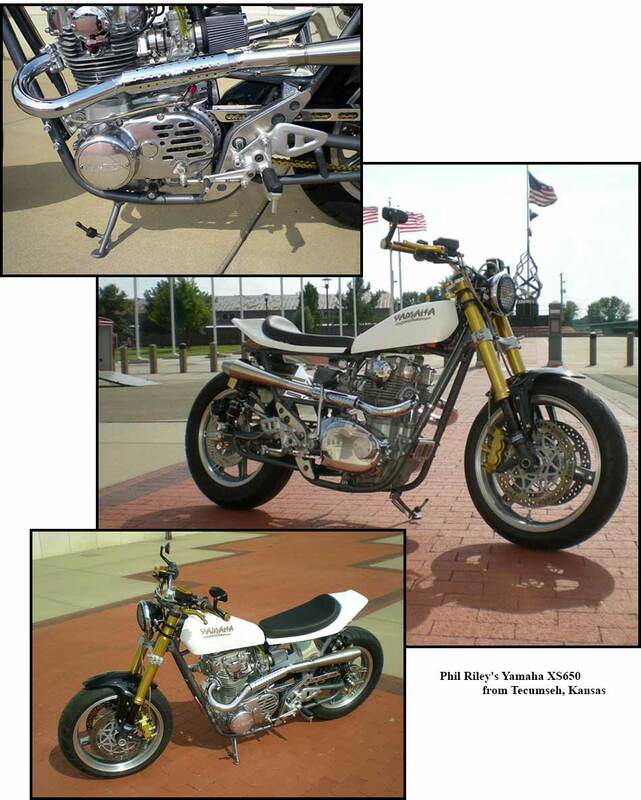 Above three Yamaha are from Roger Herring's of ST Customs. 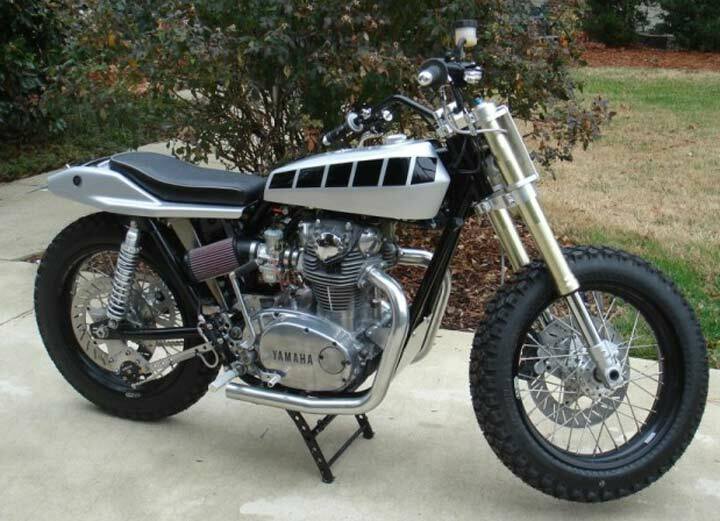 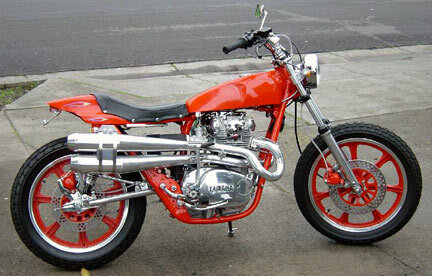 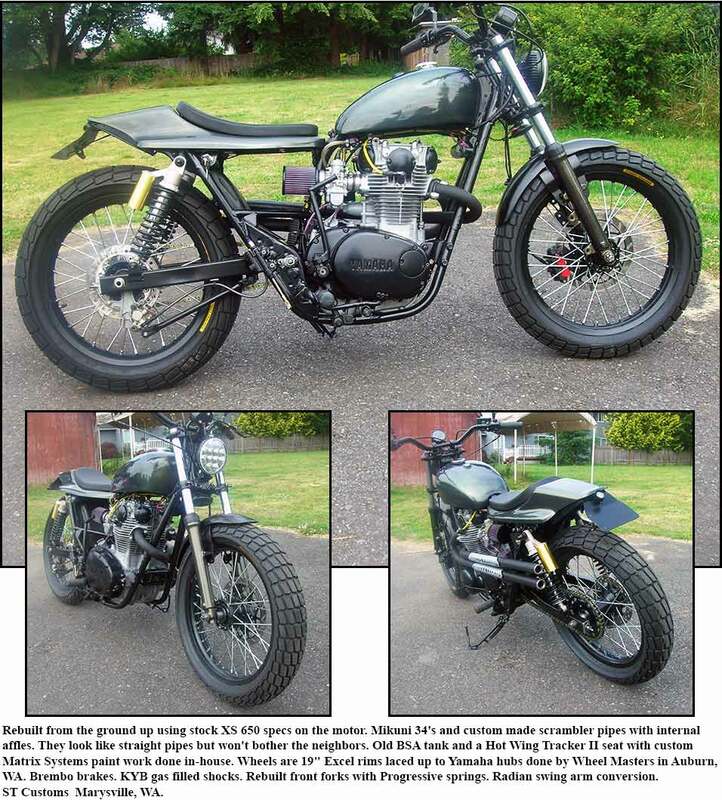 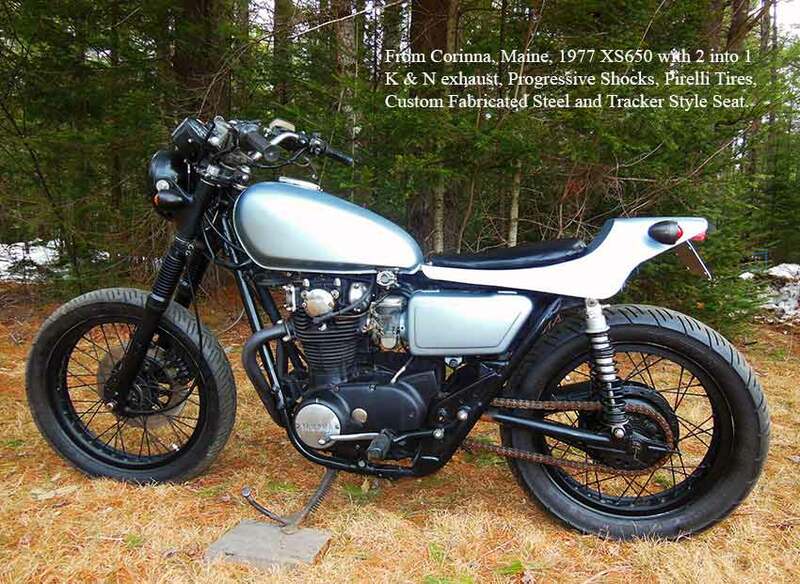 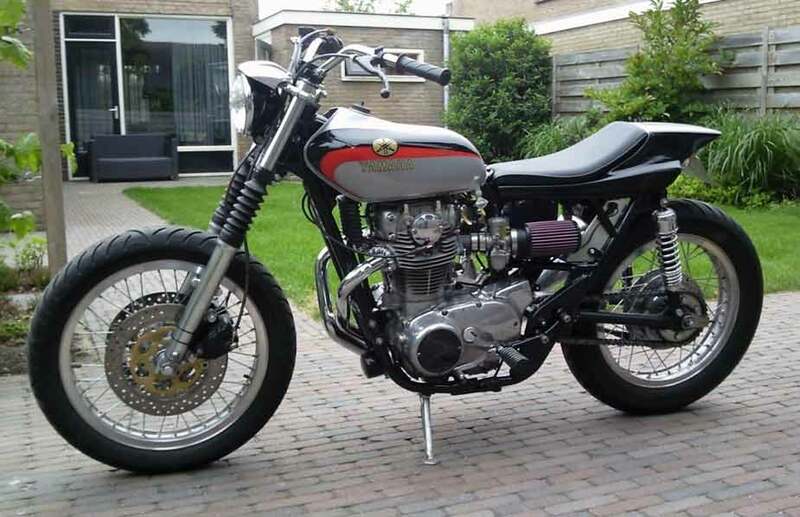 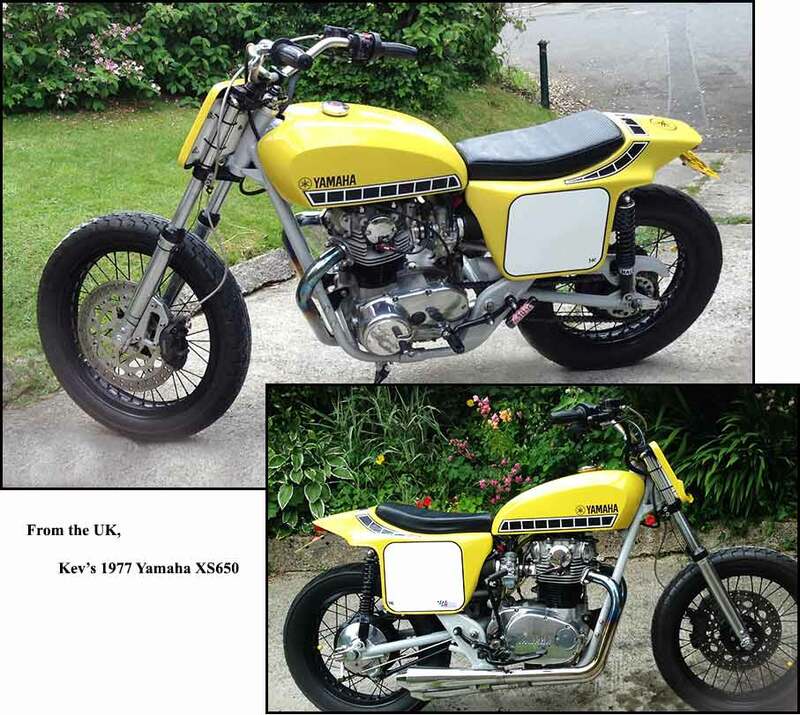 Rob MacEwen's daily commuter XS650. 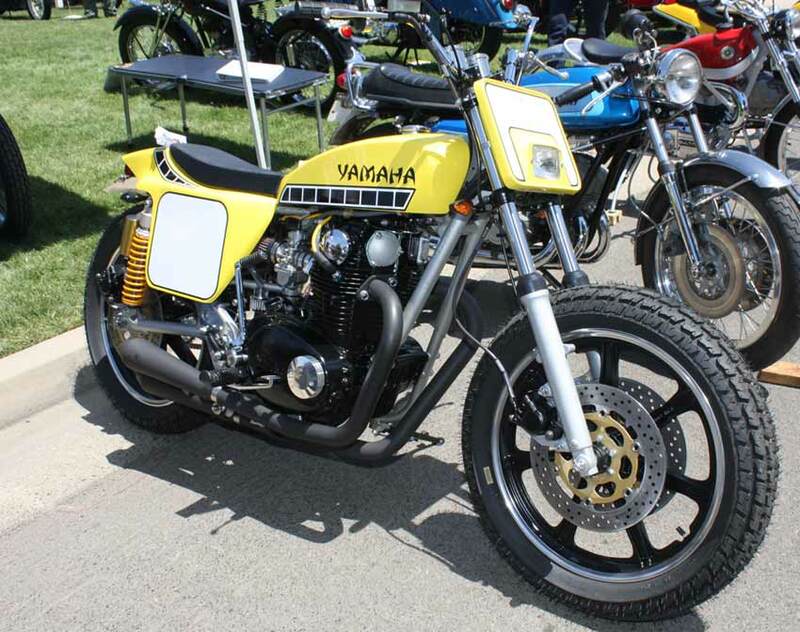 Seen at the 2009 Dan Rouit Museum Open House. 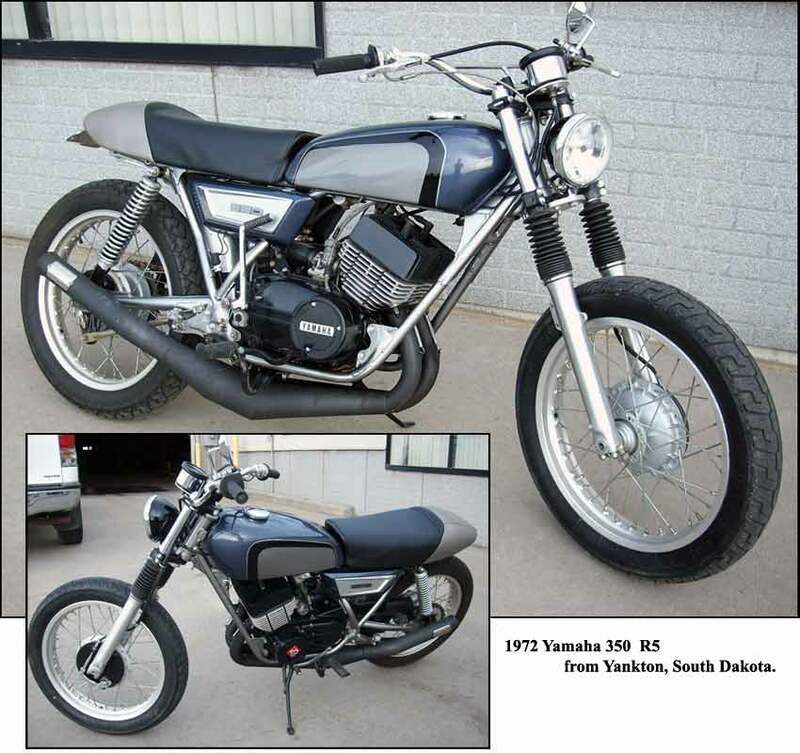 A stocker so you can remember what they started with.